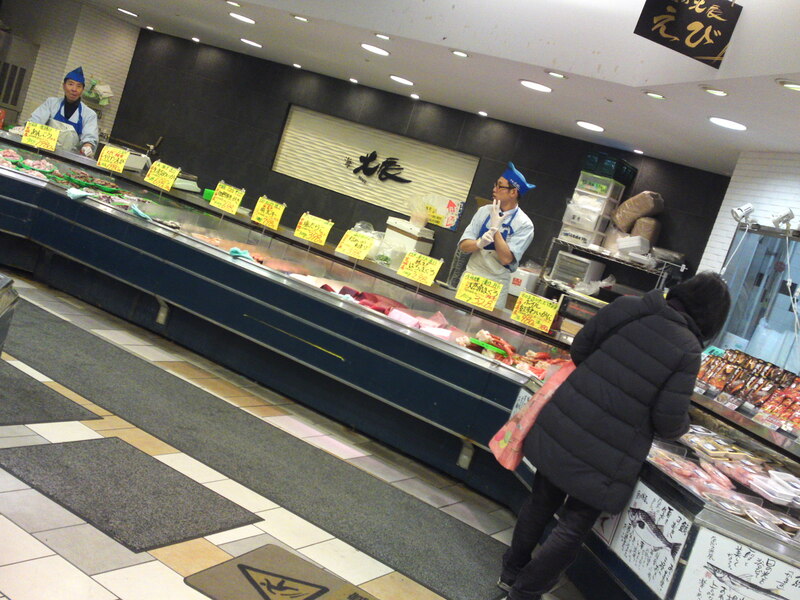 Local Shizuoka Fish & Seafood at Parche Fish market in Shizuoka City: Including Splendid Alfonsino! 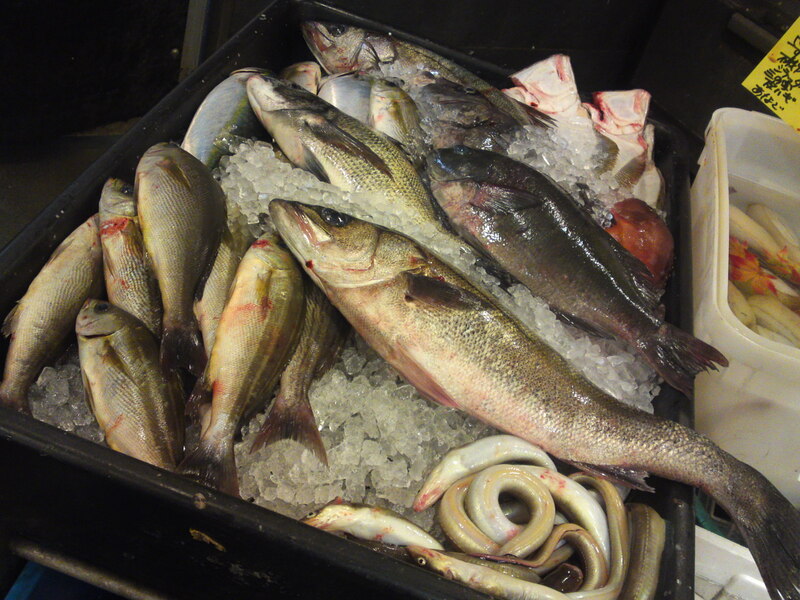 these last past weeks have witnessed extreme heats and it must be reaaly tough work for fishermen to go at sea even at night! 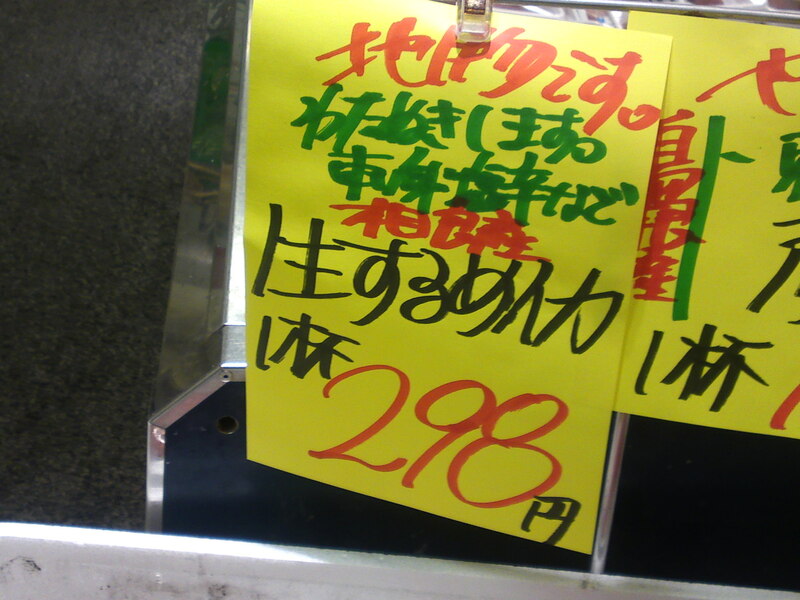 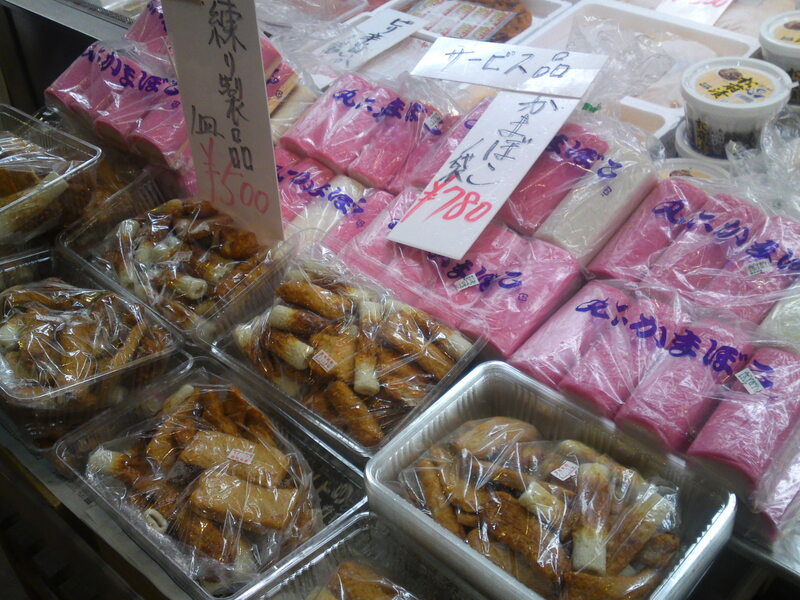 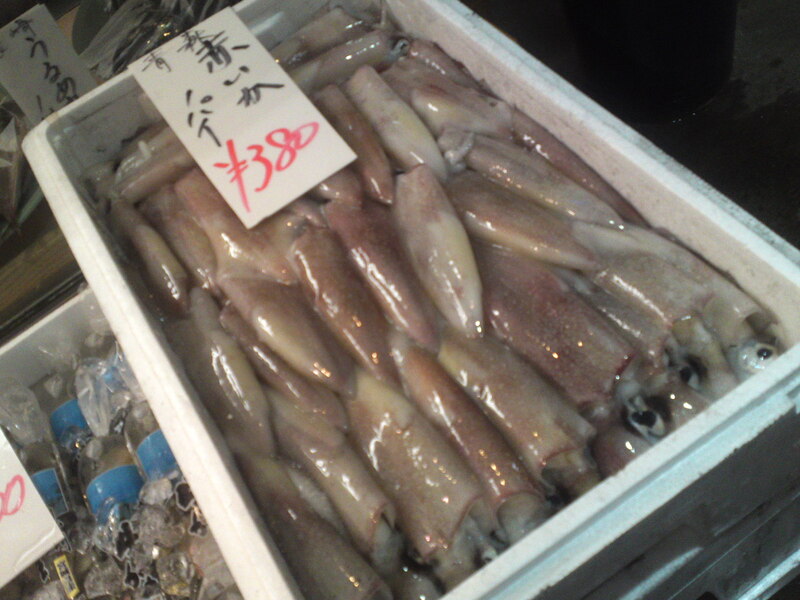 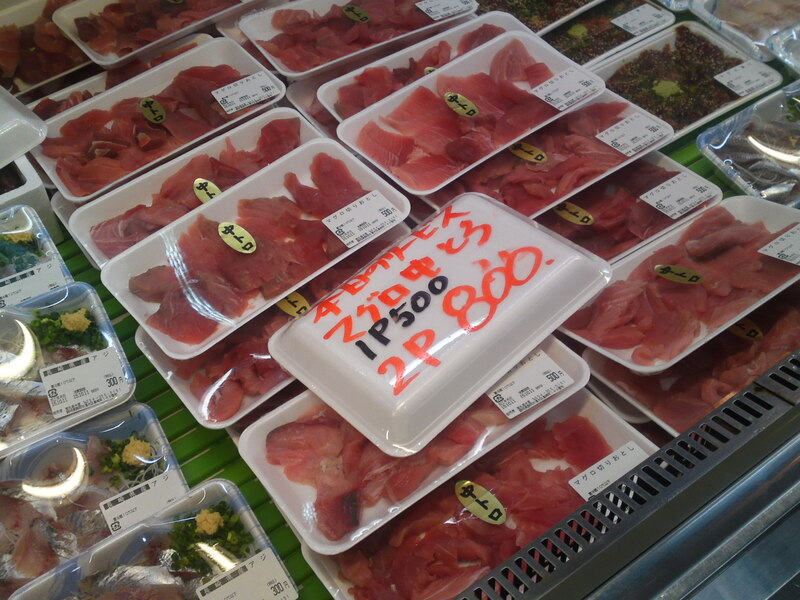 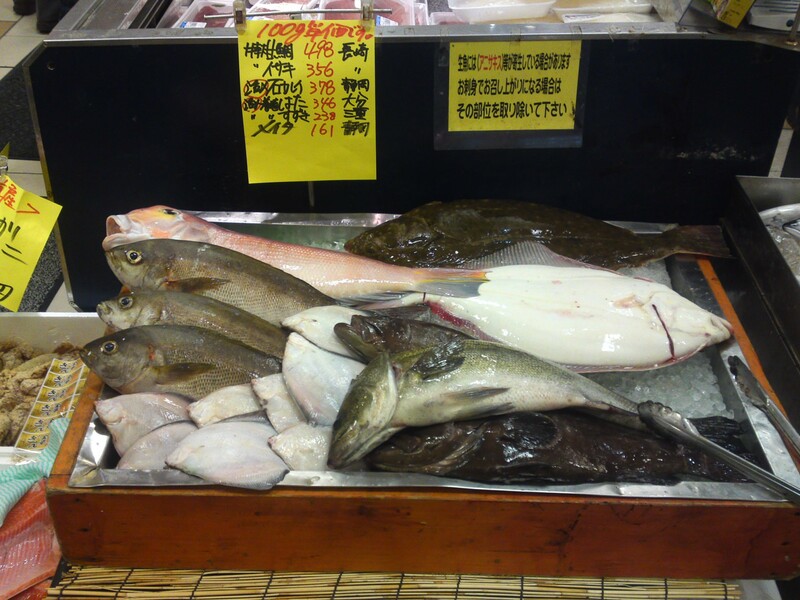 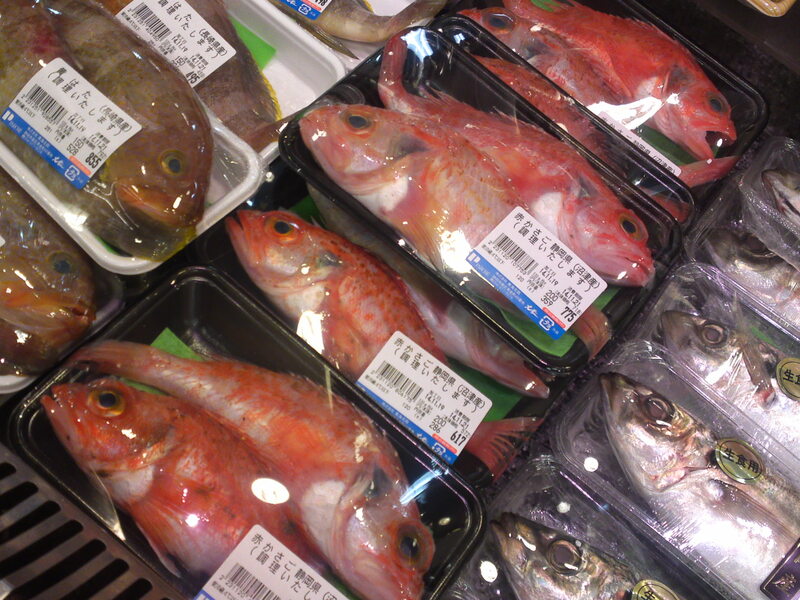 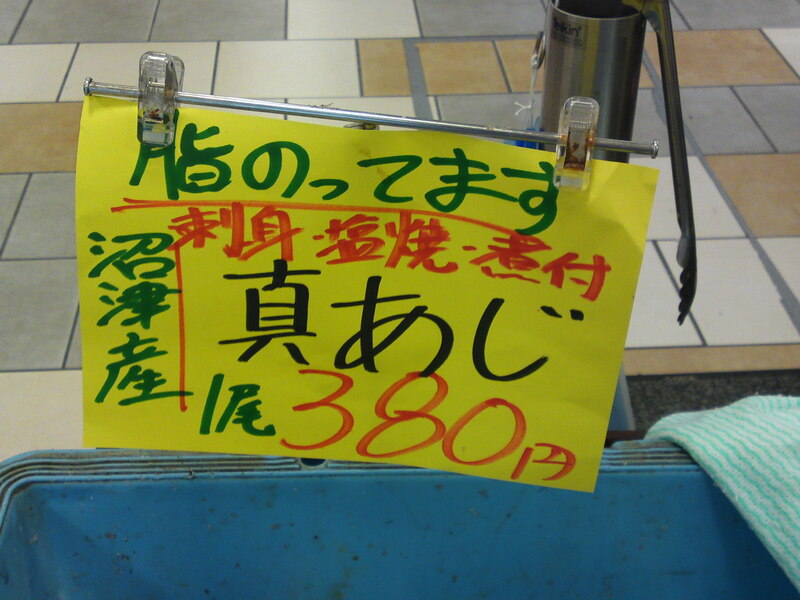 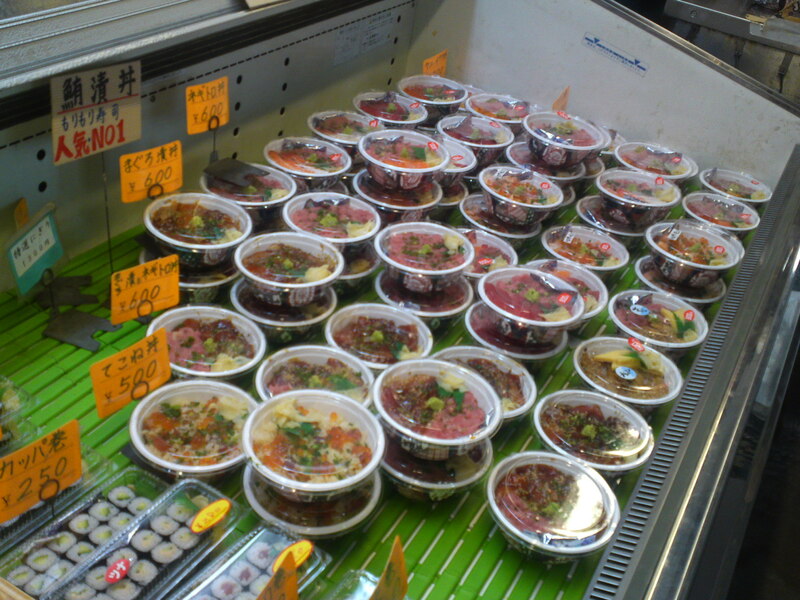 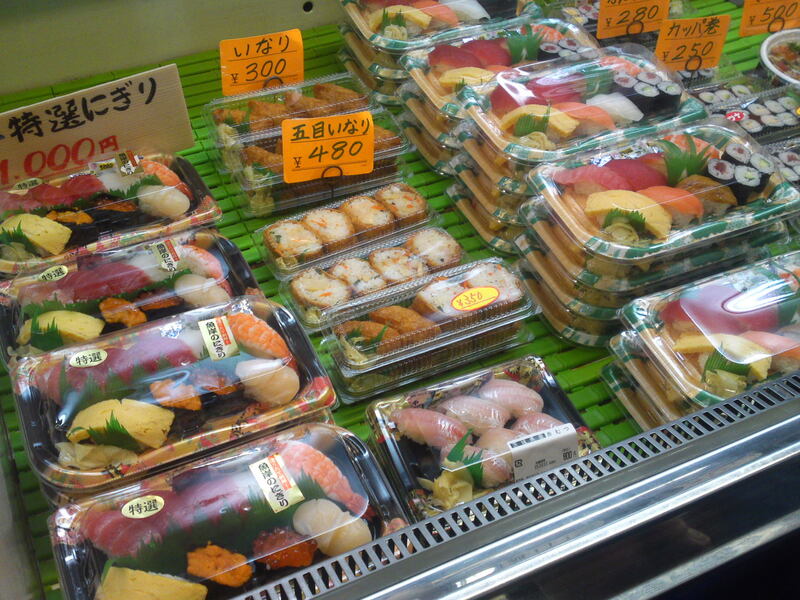 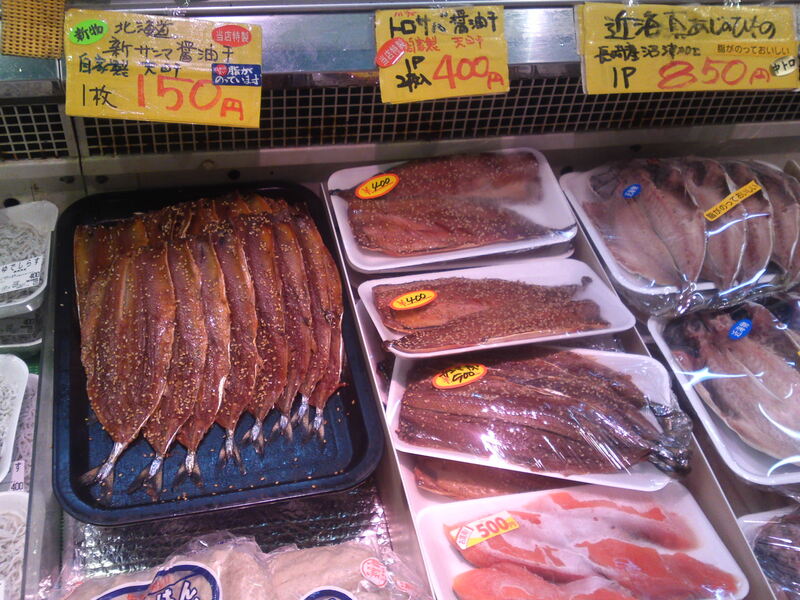 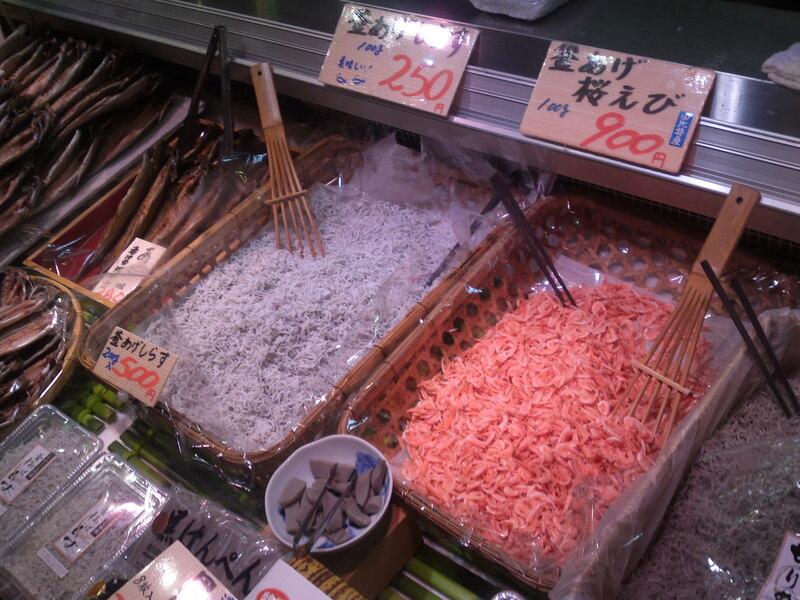 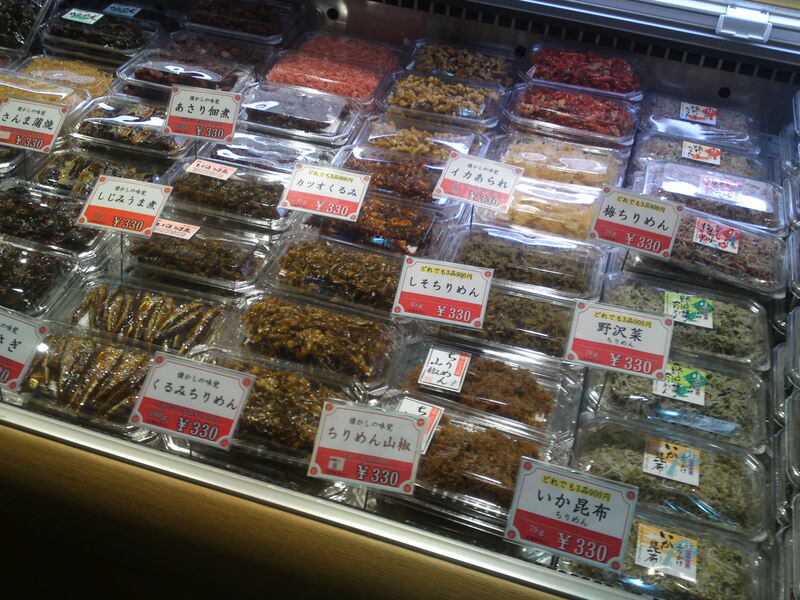 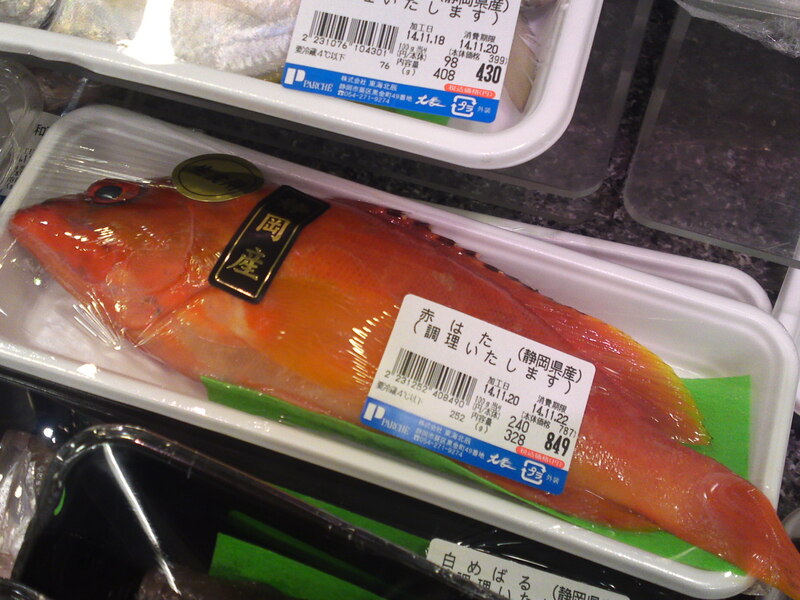 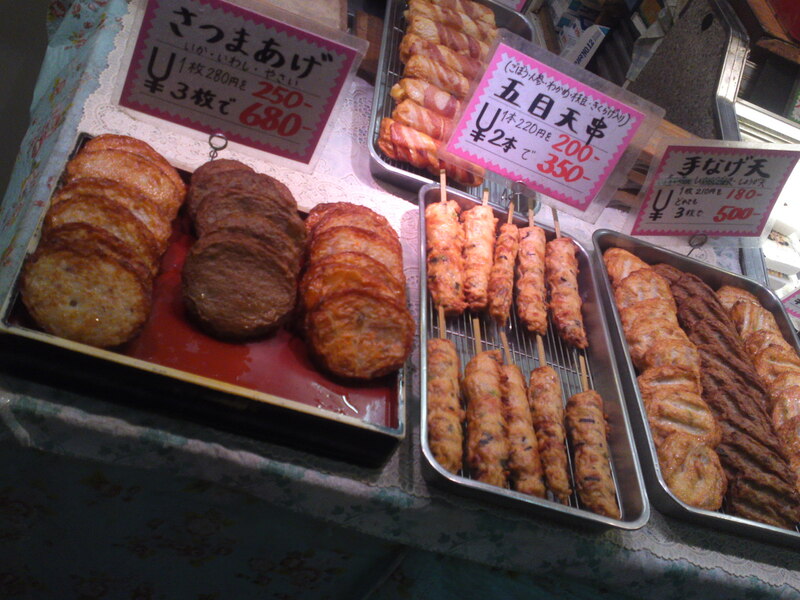 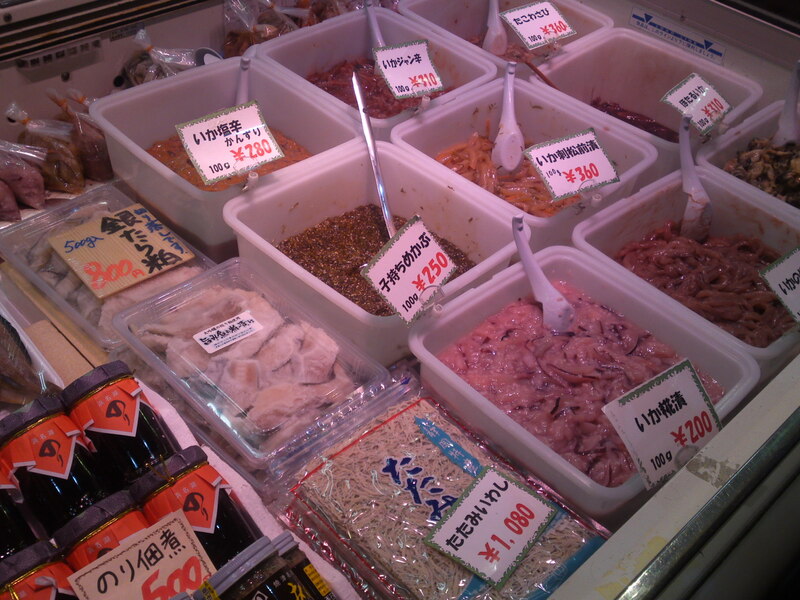 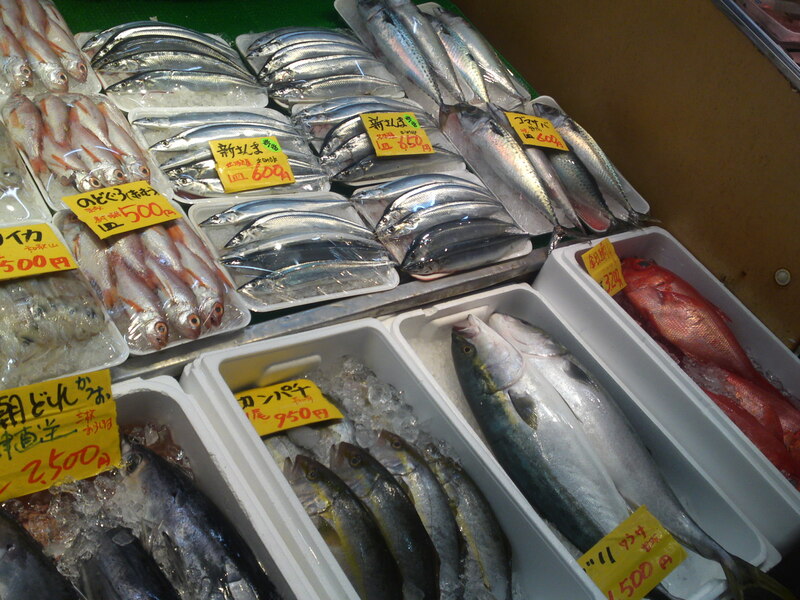 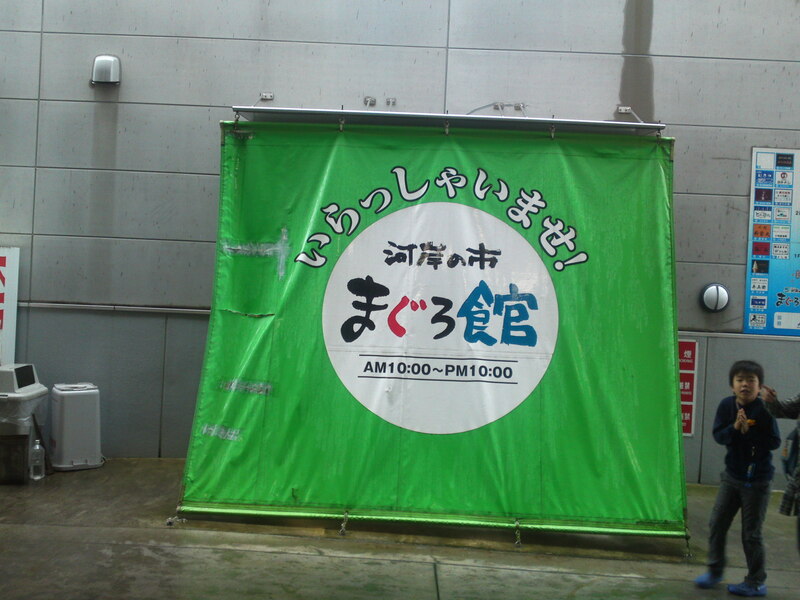 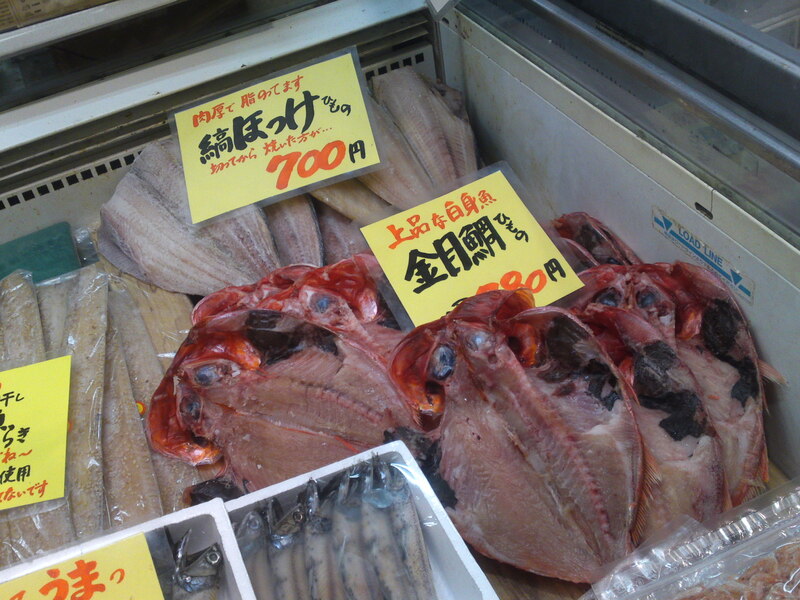 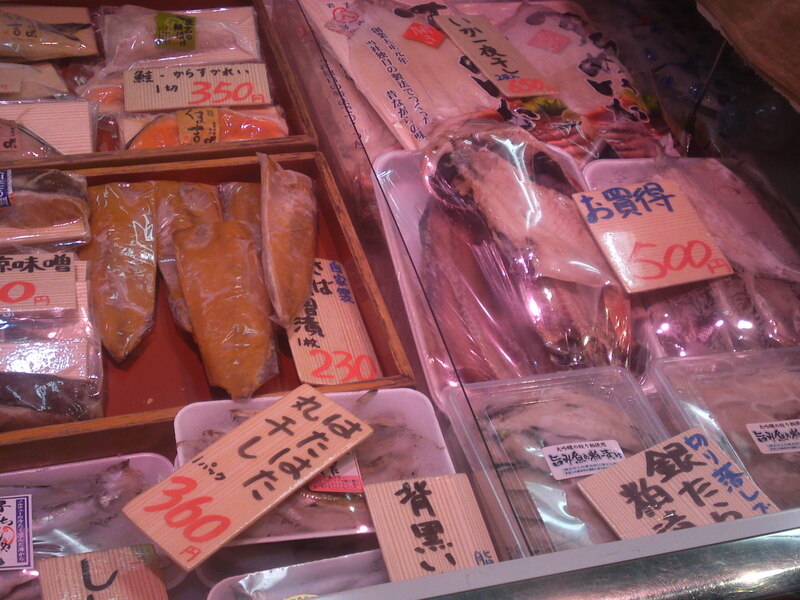 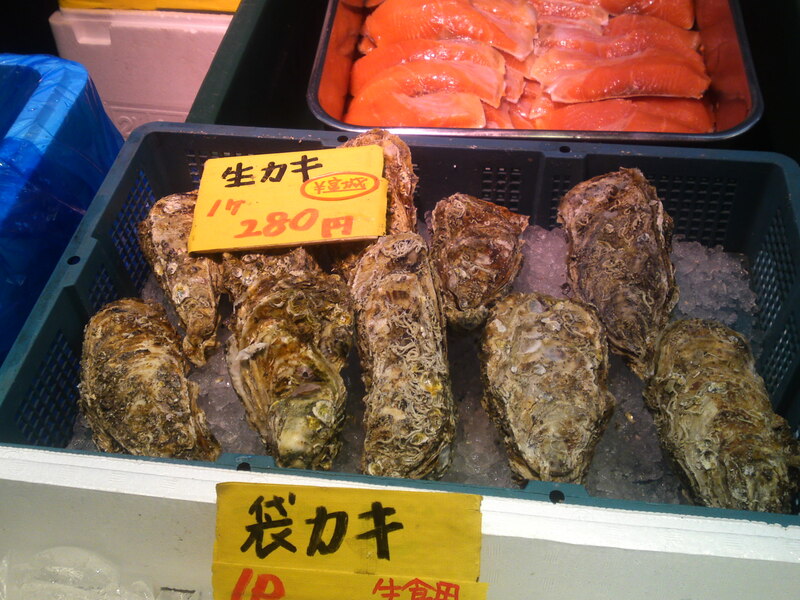 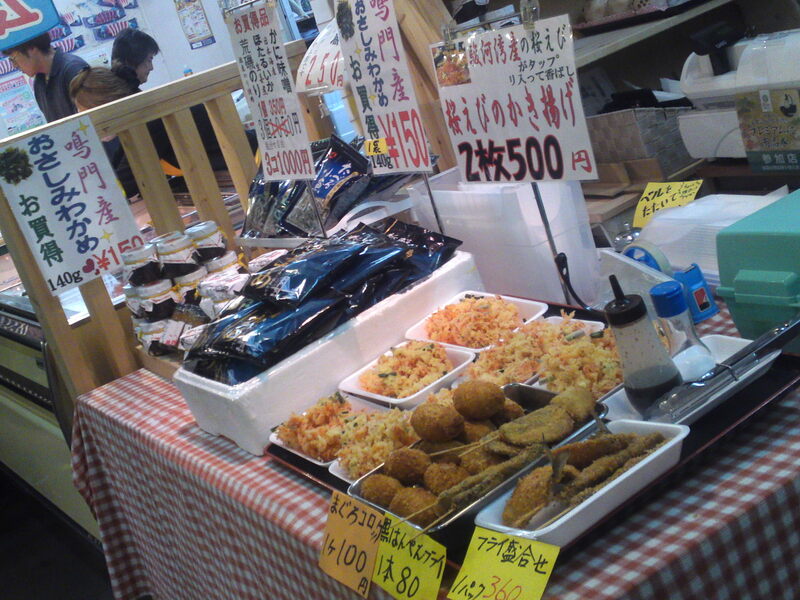 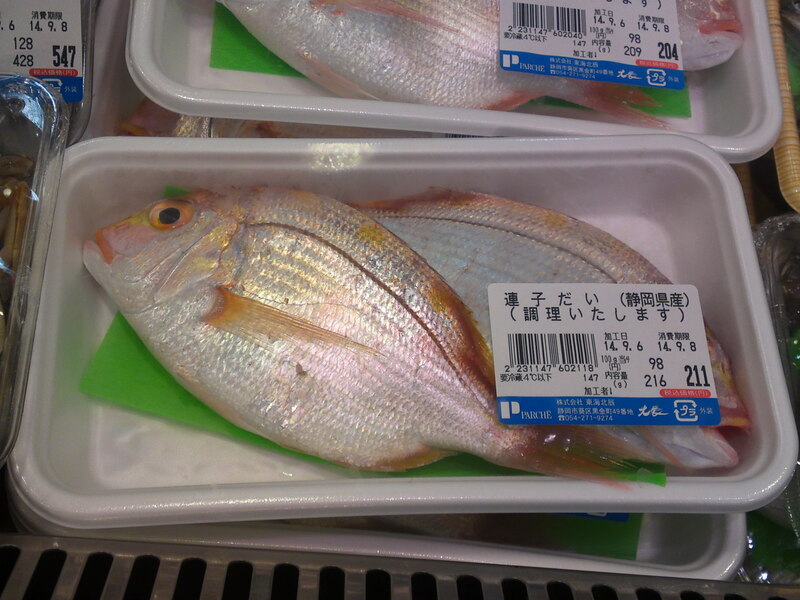 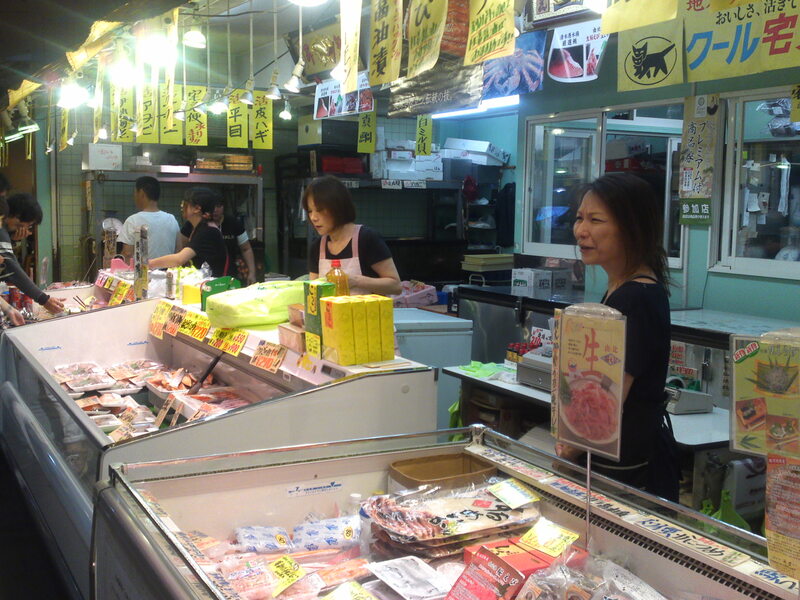 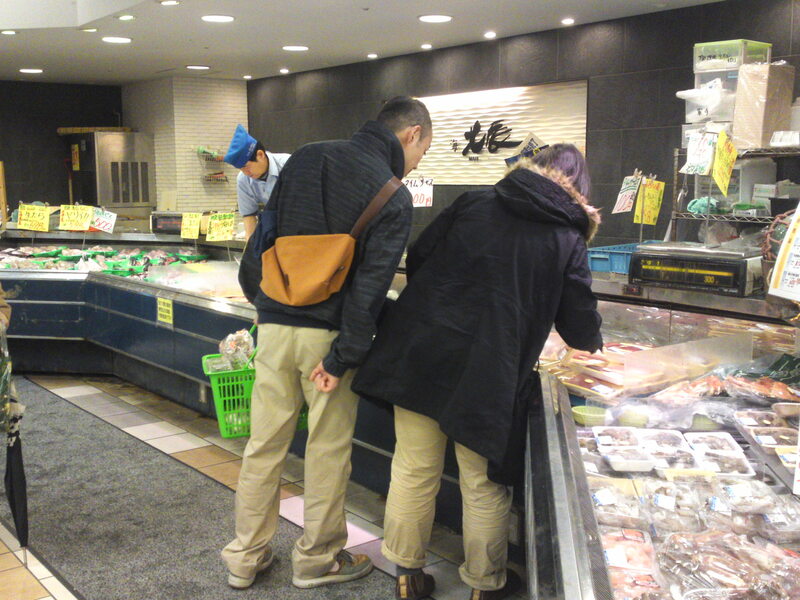 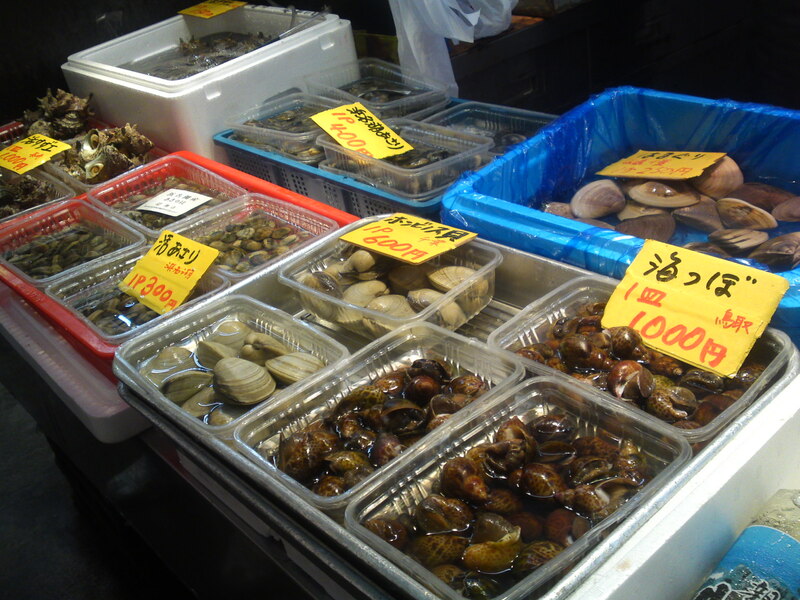 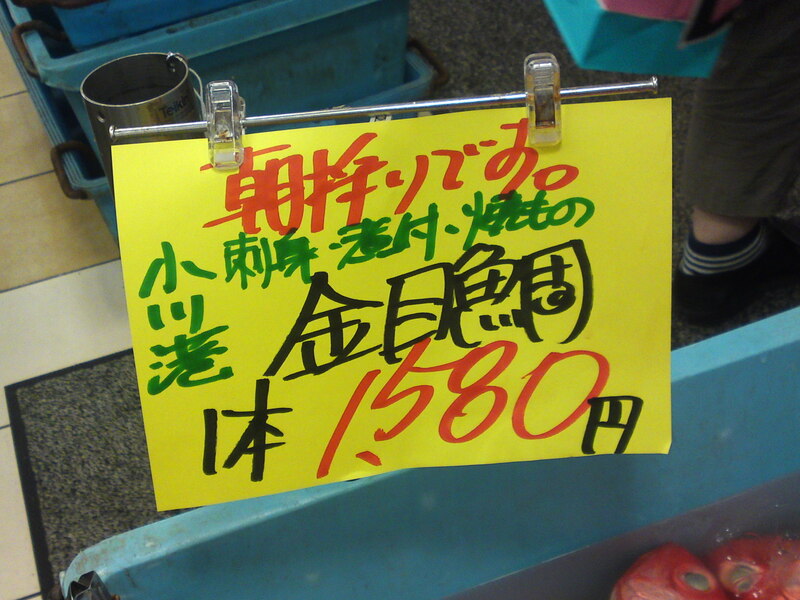 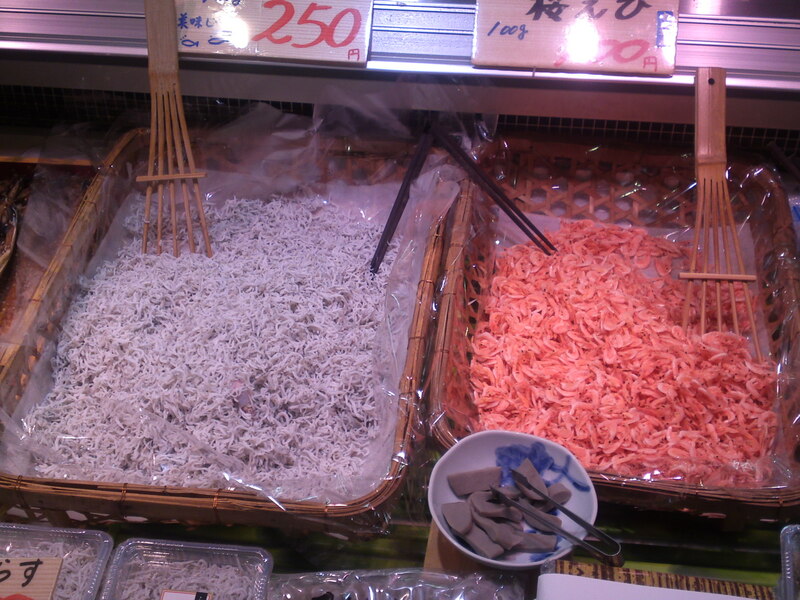 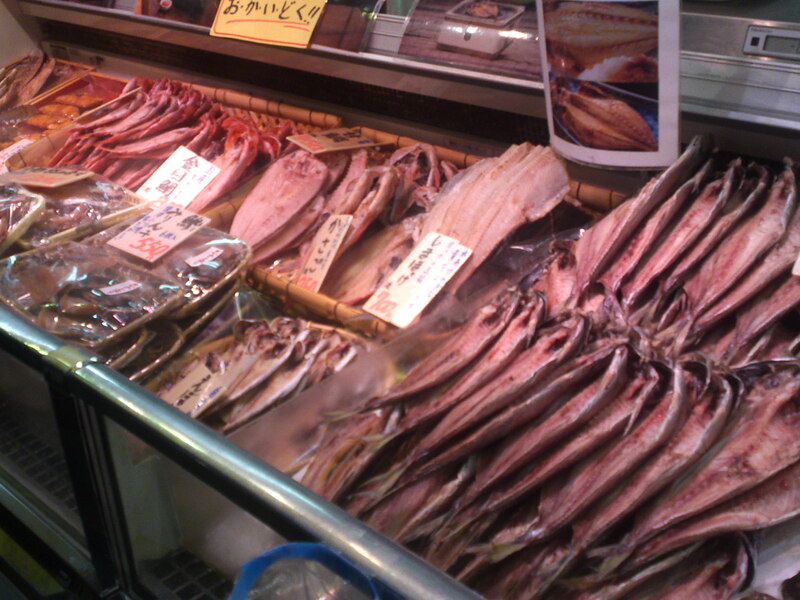 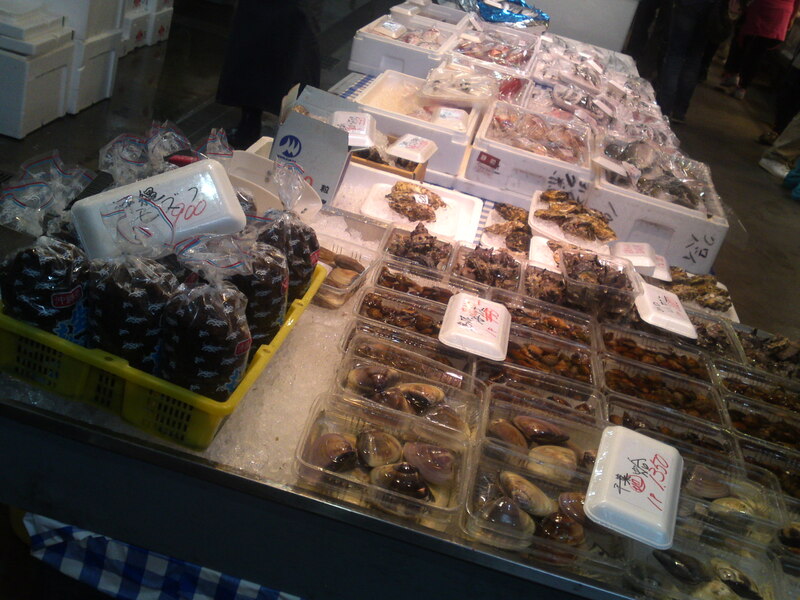 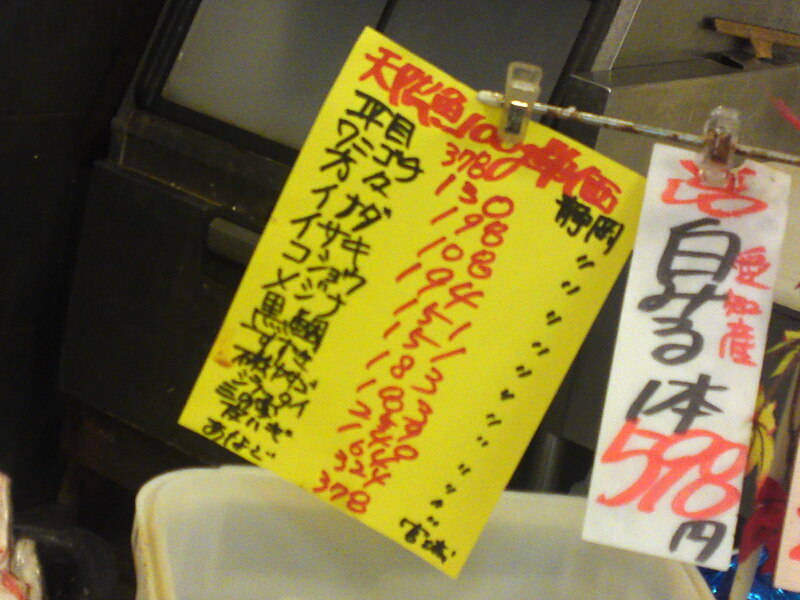 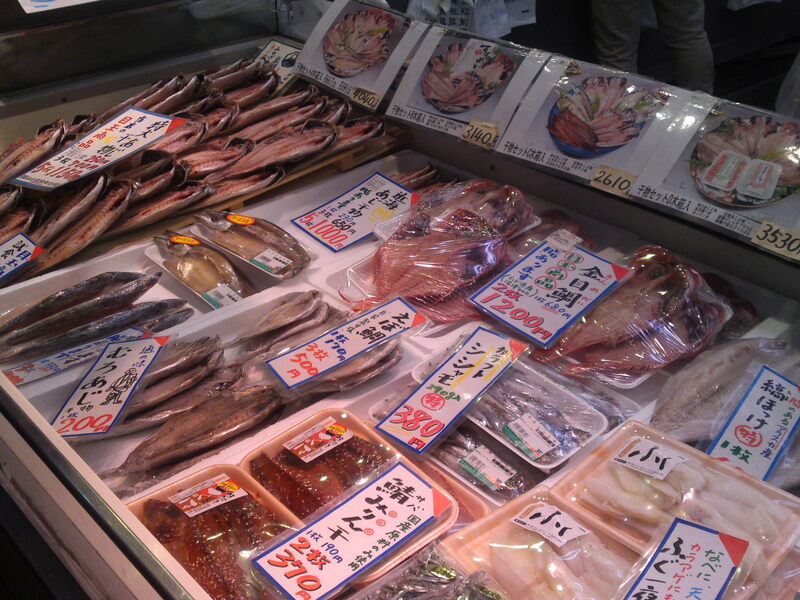 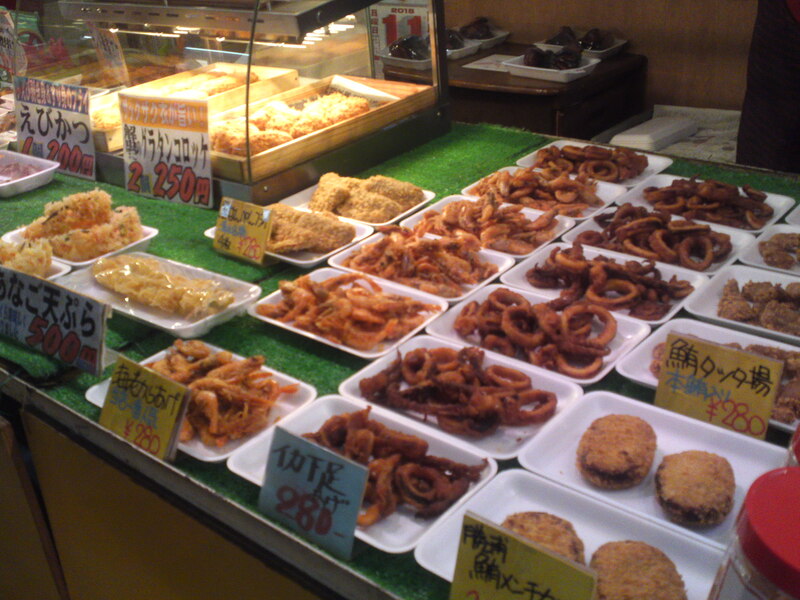 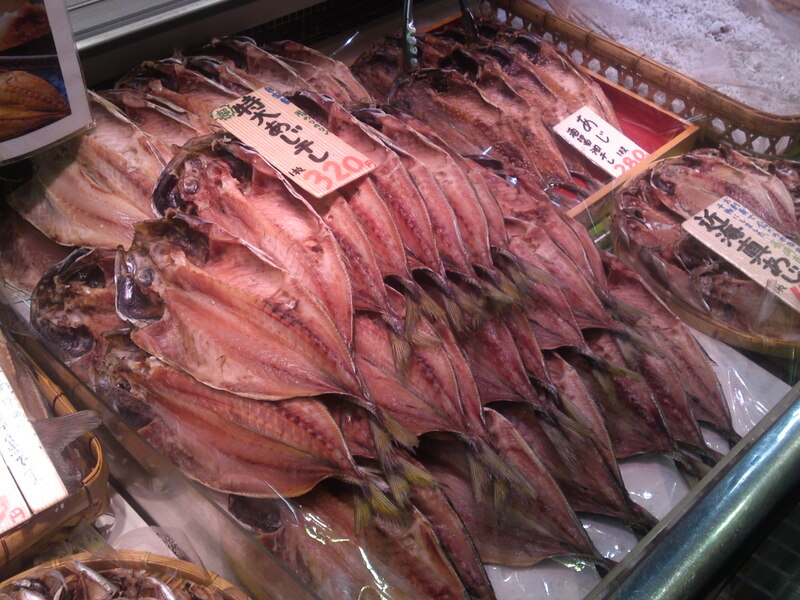 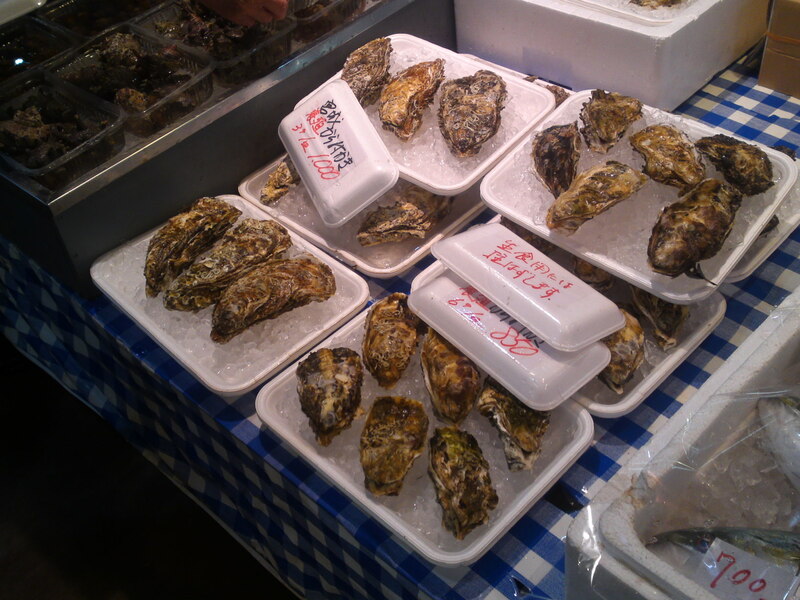 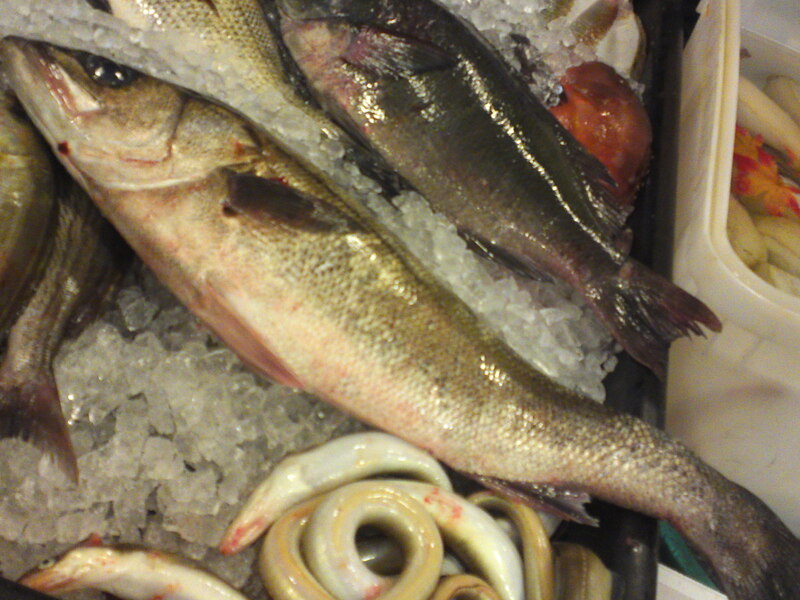 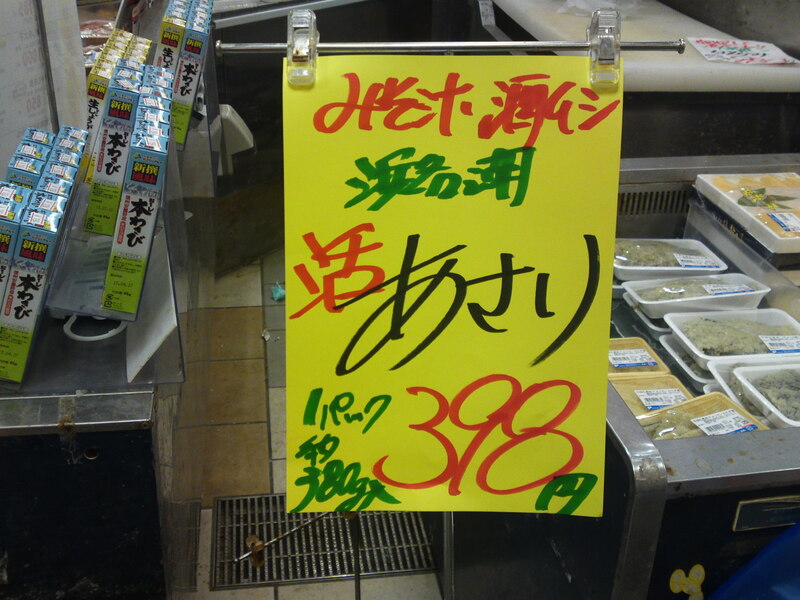 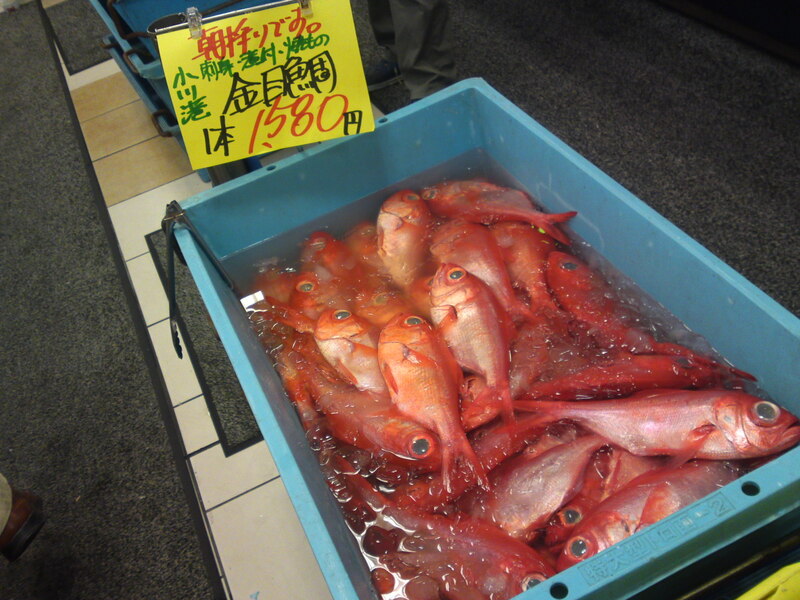 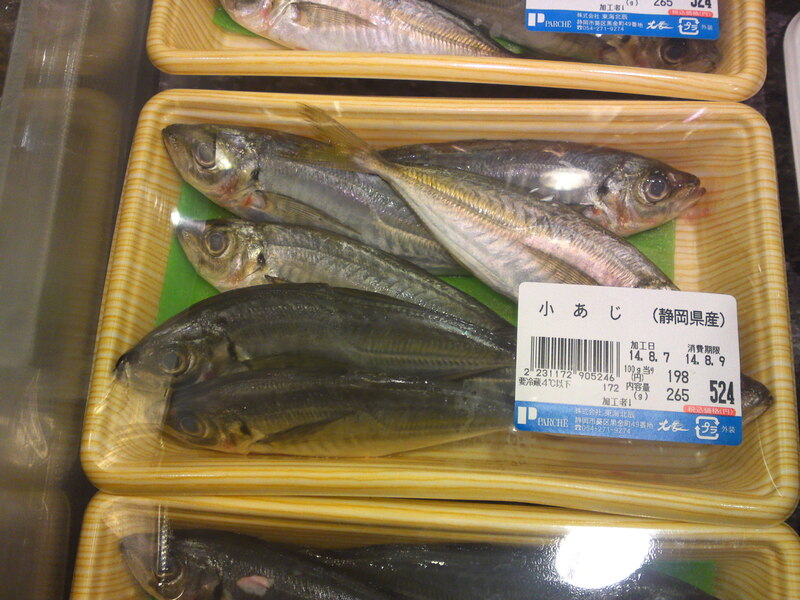 Yesterday I visited Parch Market in JR Shizuoka Station to find out what was available as local fish and seafood! 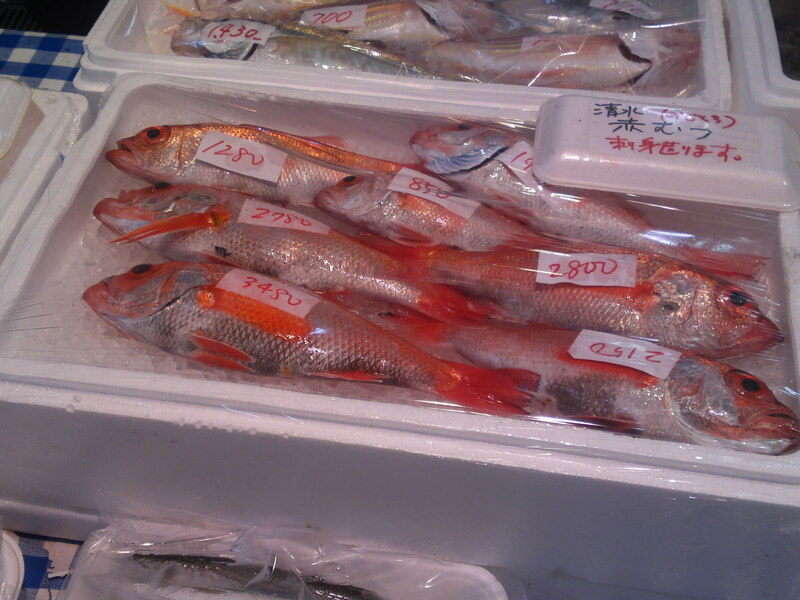 Beautiful red fish over there! 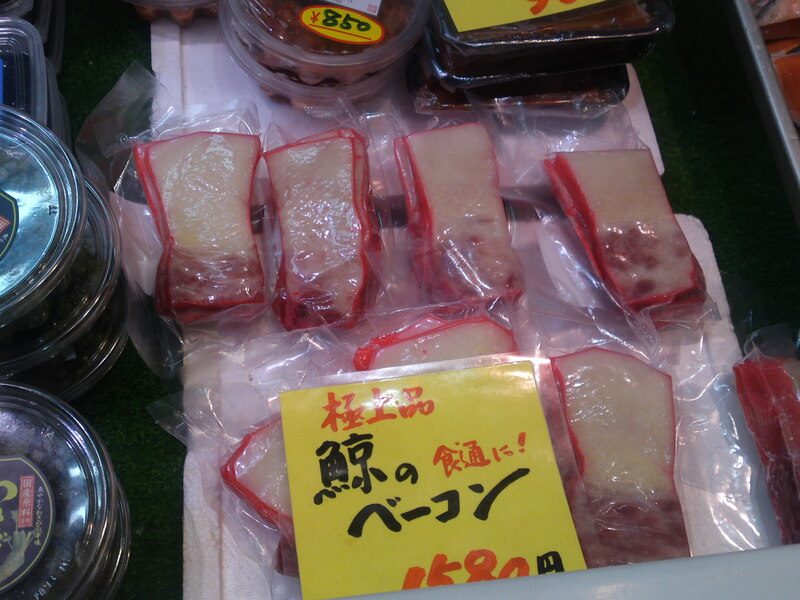 A local delicacy with a great name! 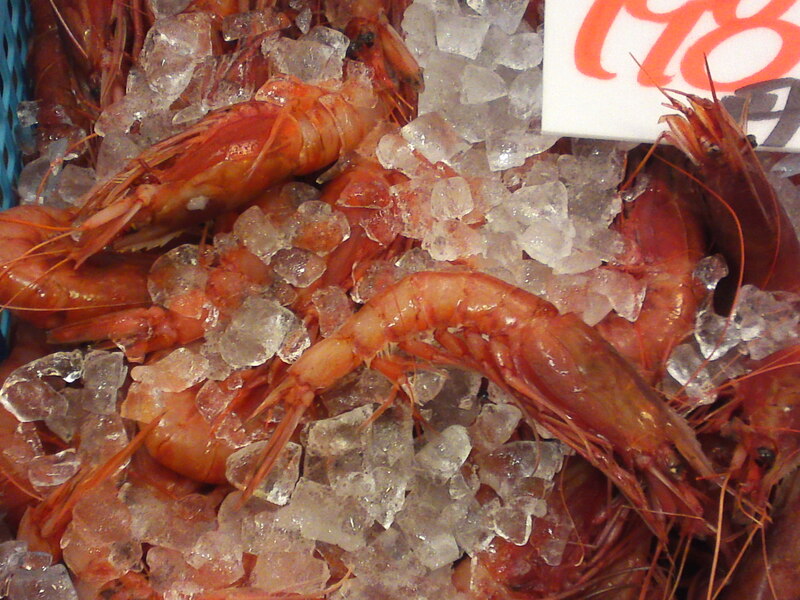 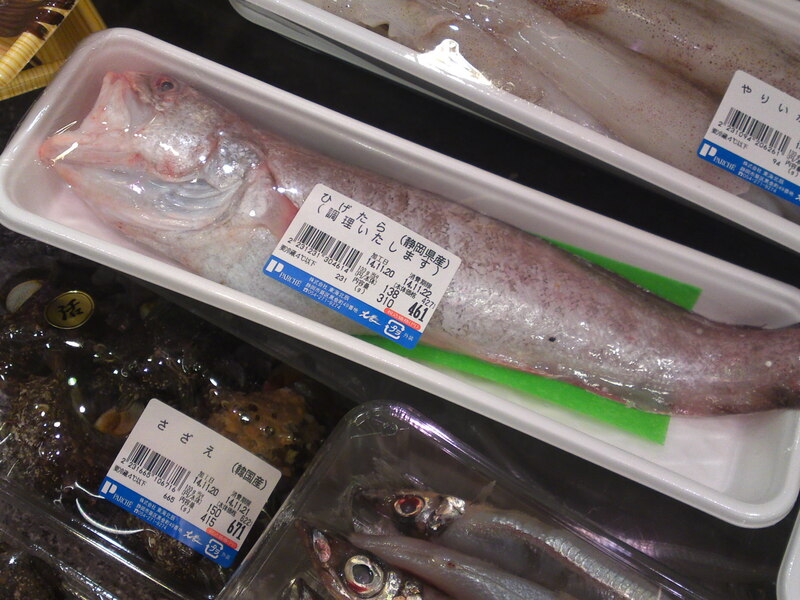 Not cheap for a medium-sized fish! 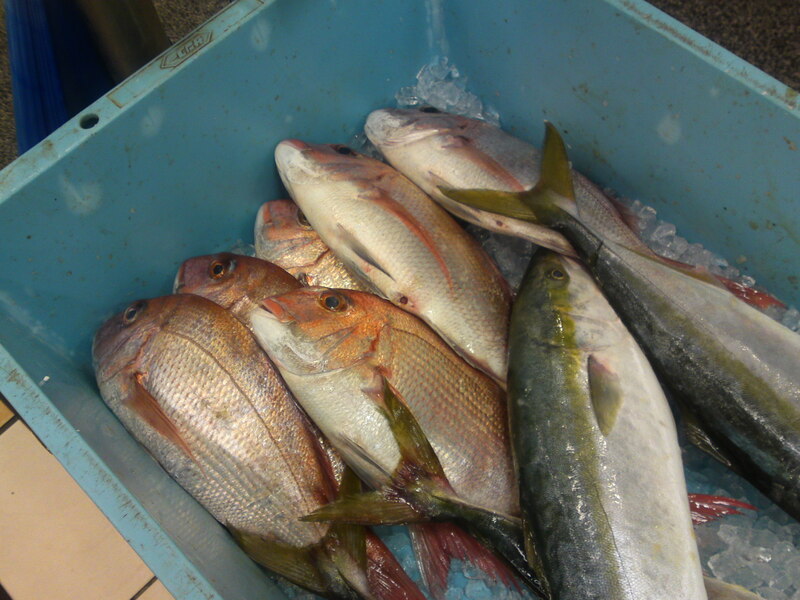 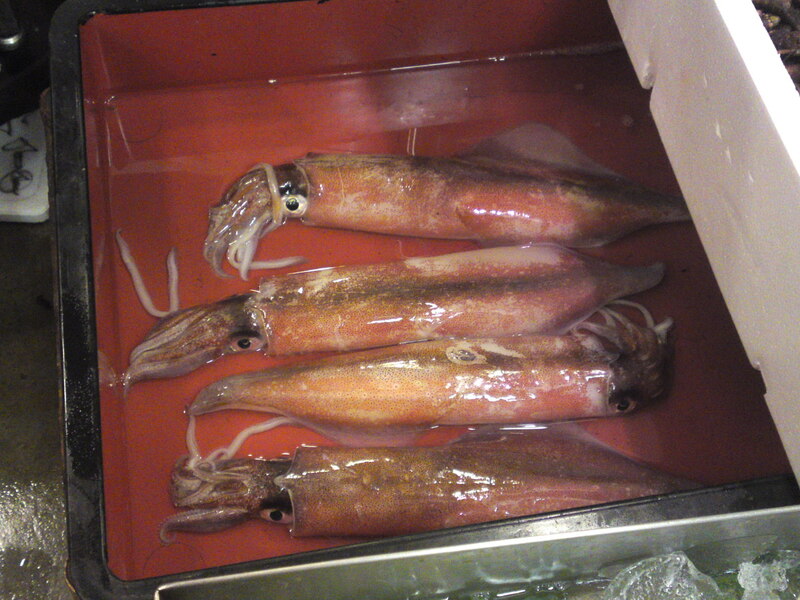 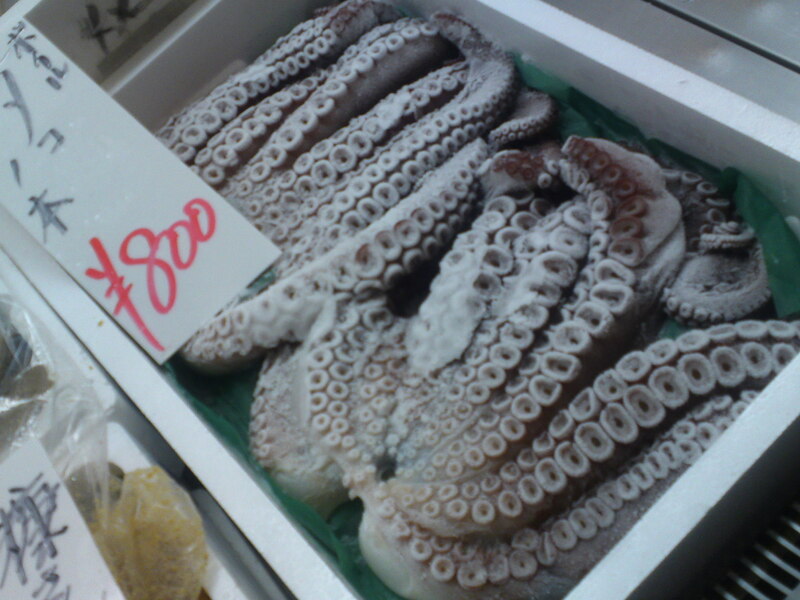 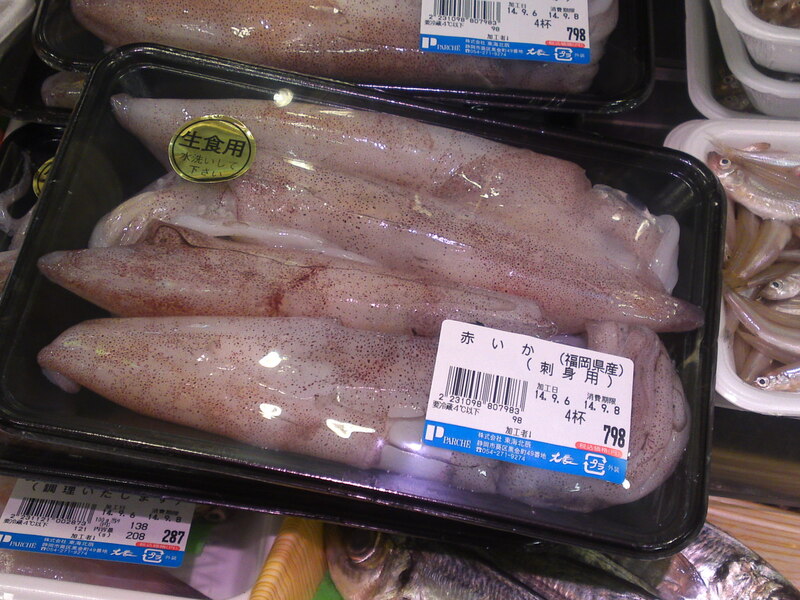 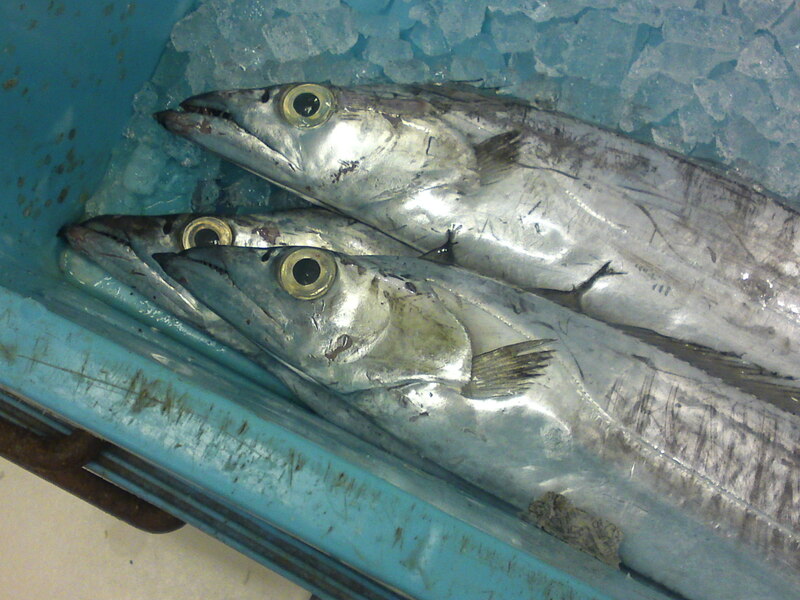 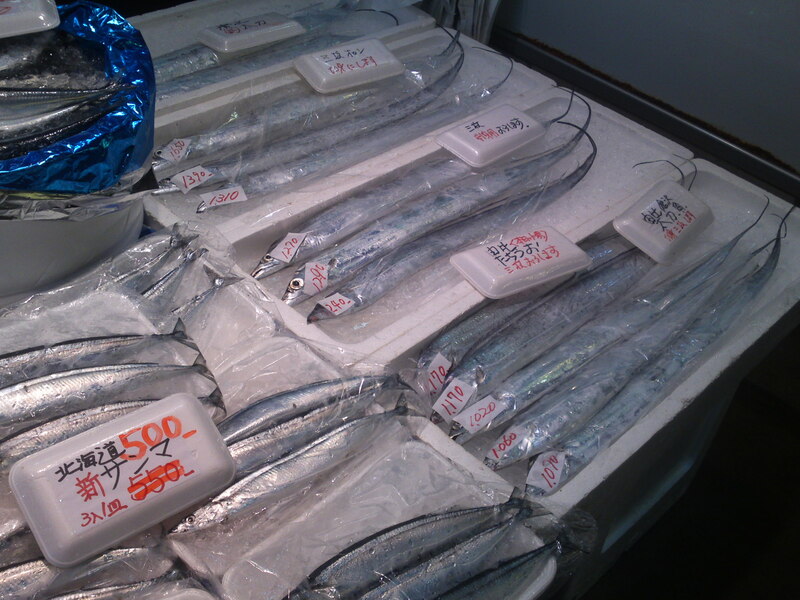 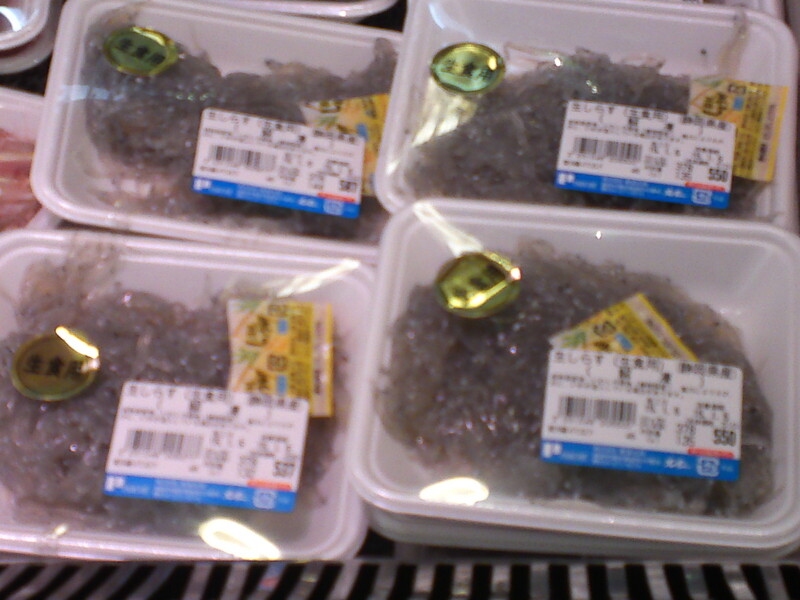 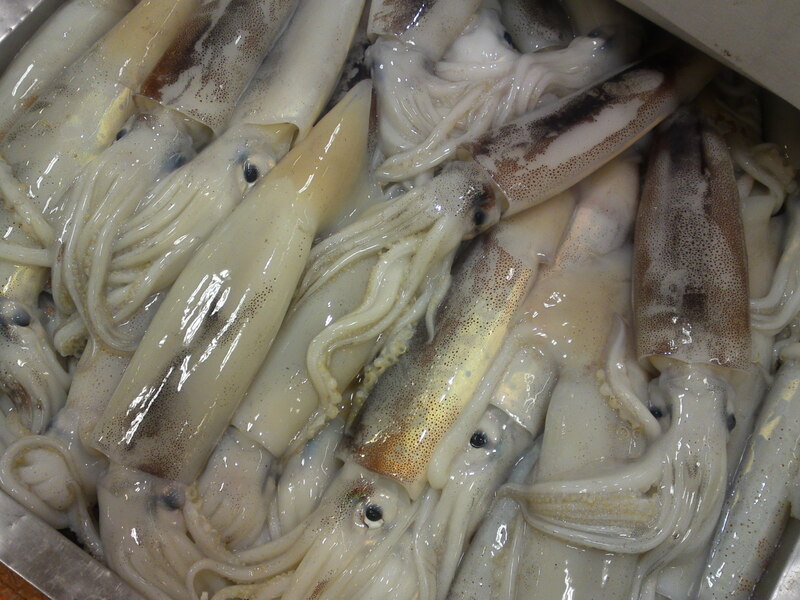 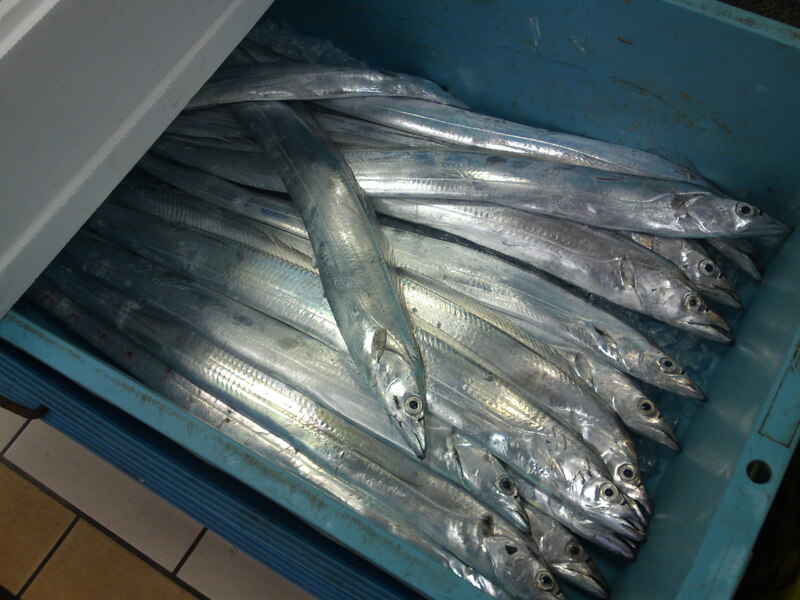 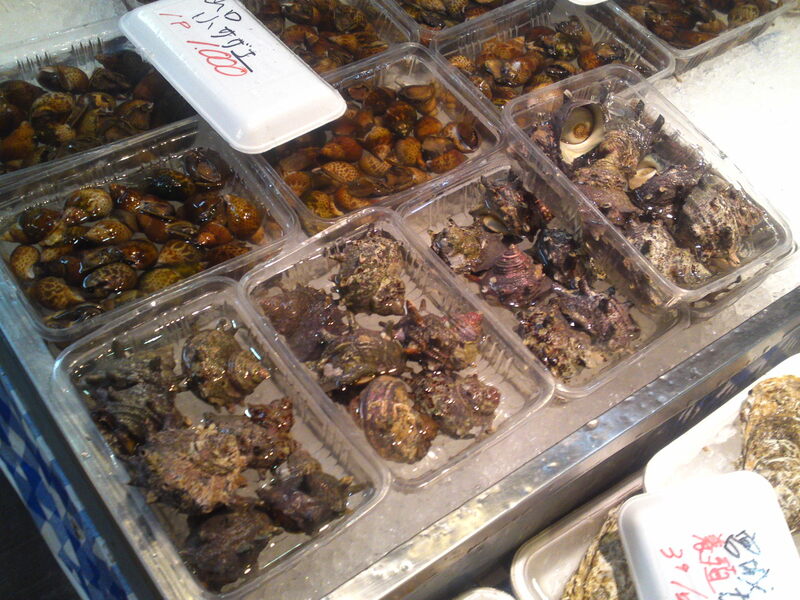 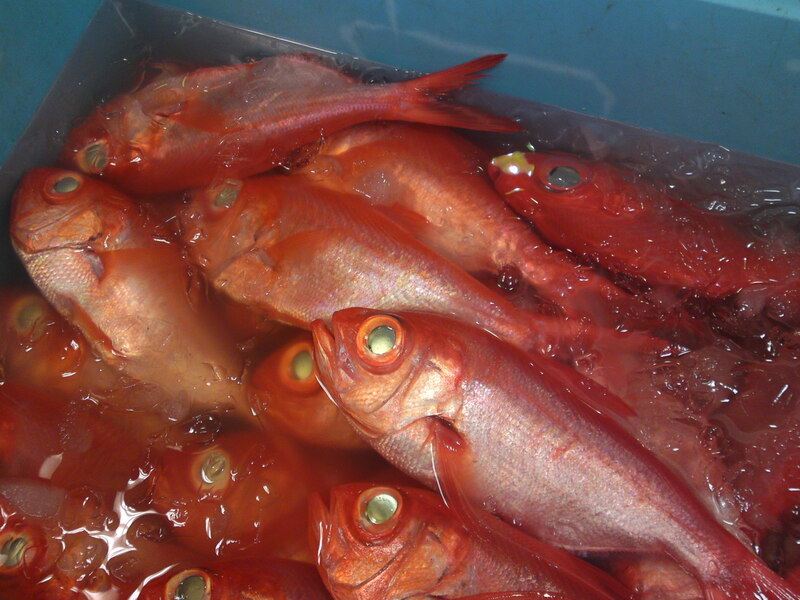 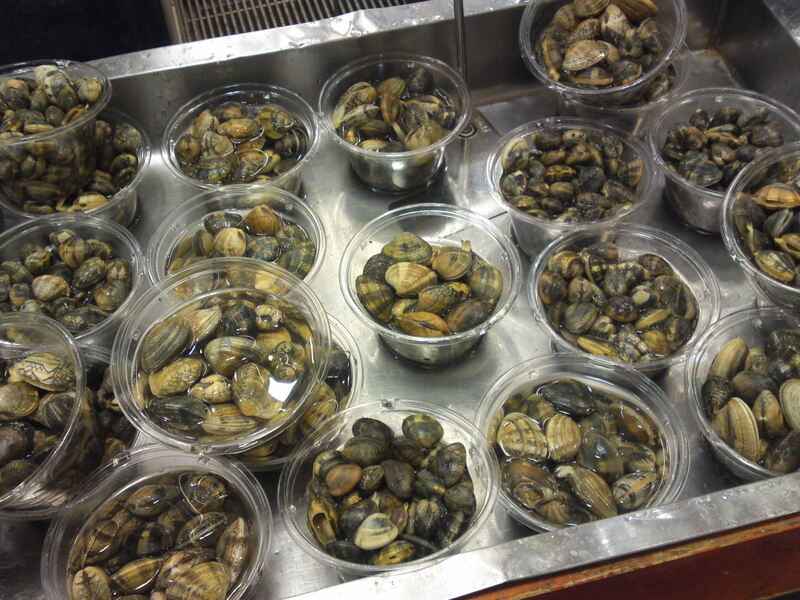 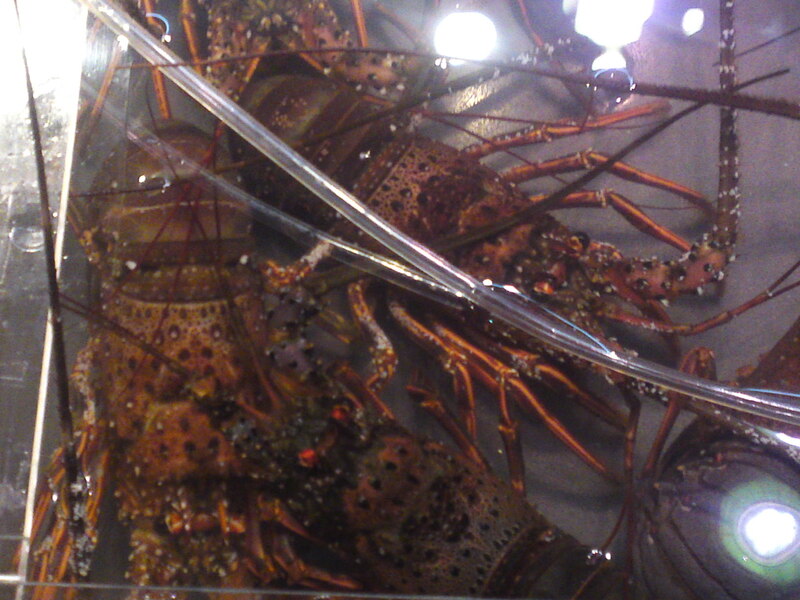 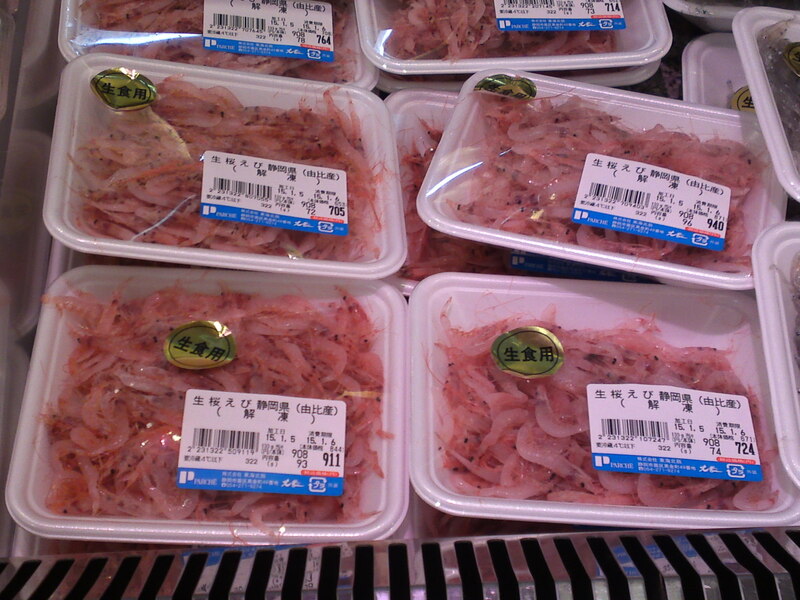 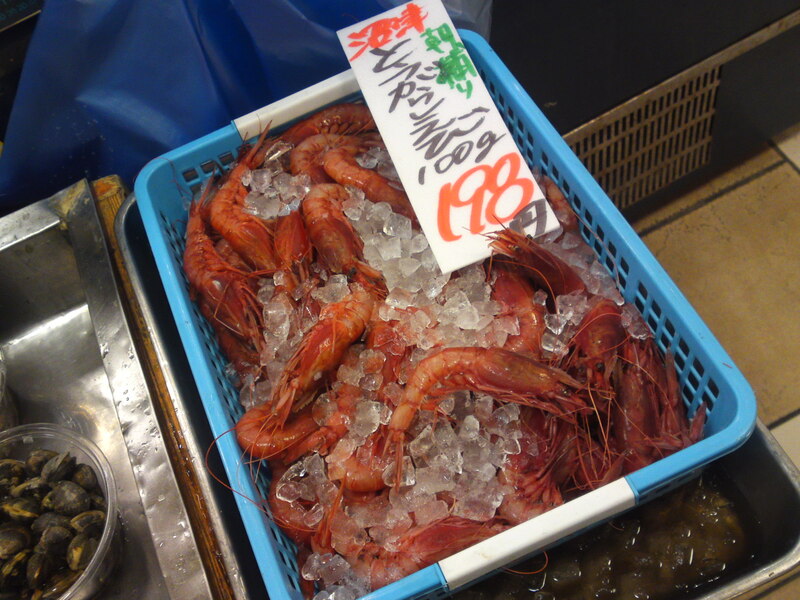 They had been brought in the morning from Kogawa harbor in Yaizu City! 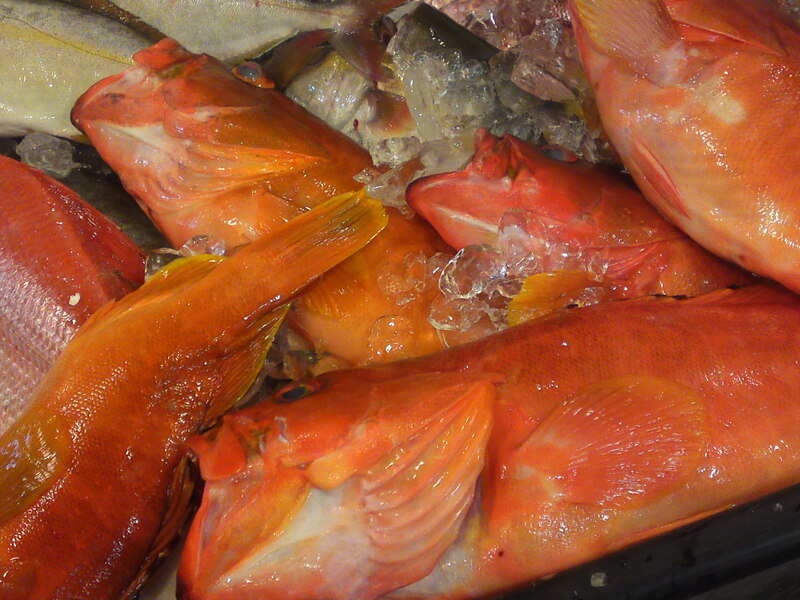 there still some beautiful fish left in the “mixed batch”, too! 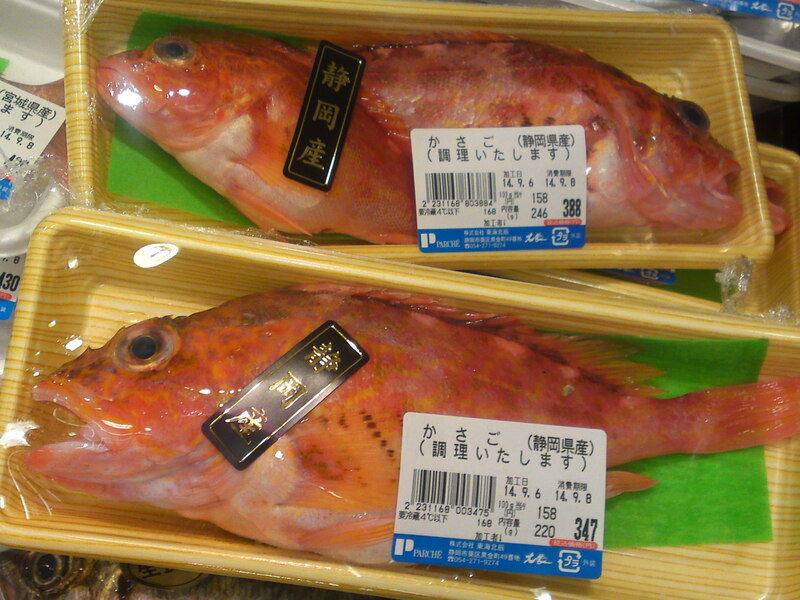 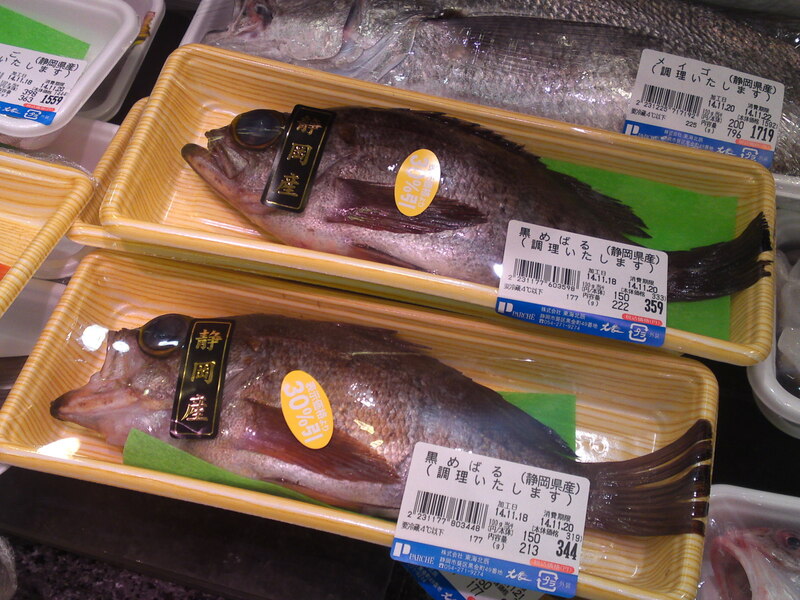 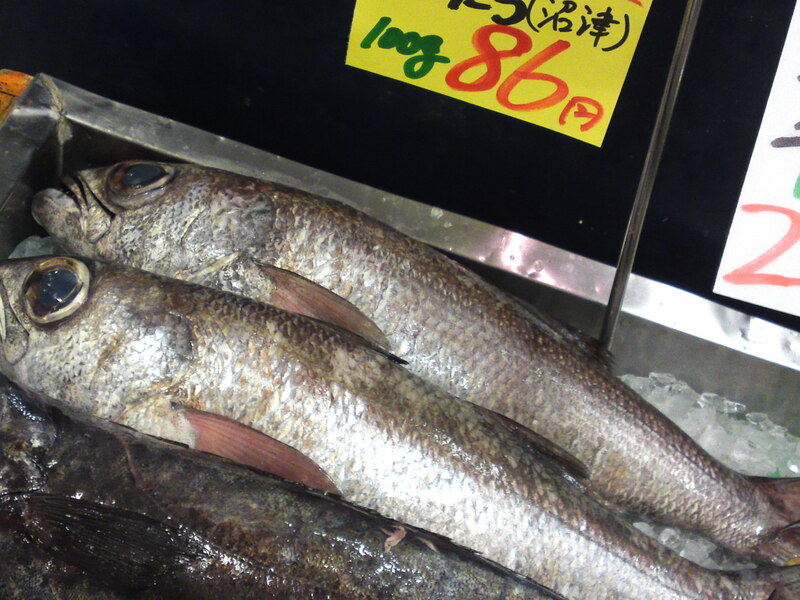 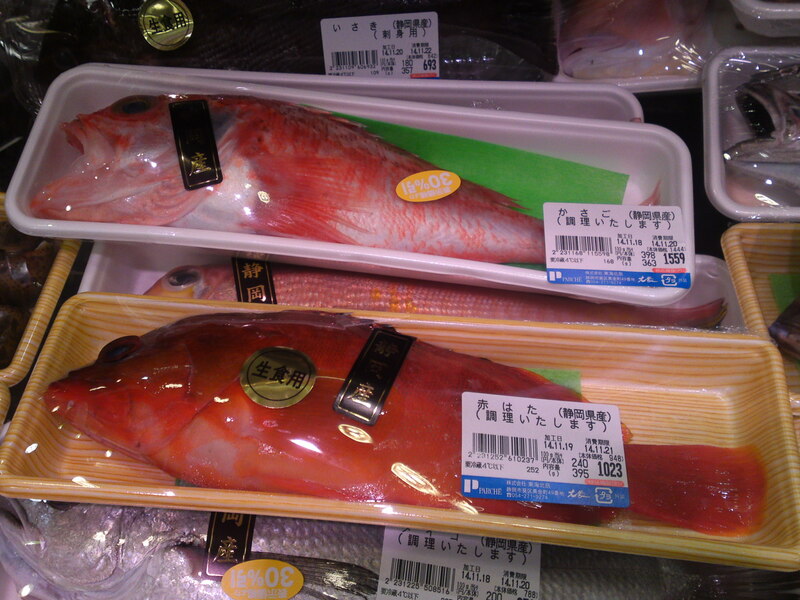 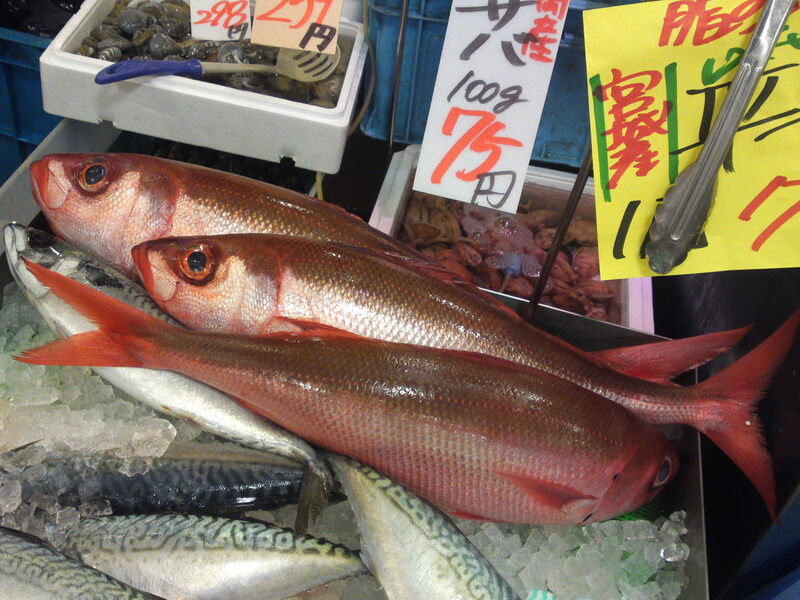 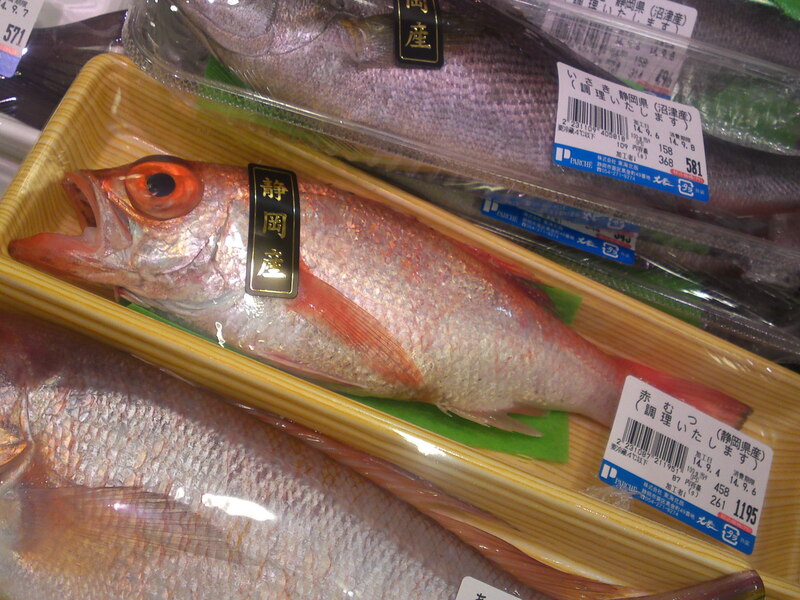 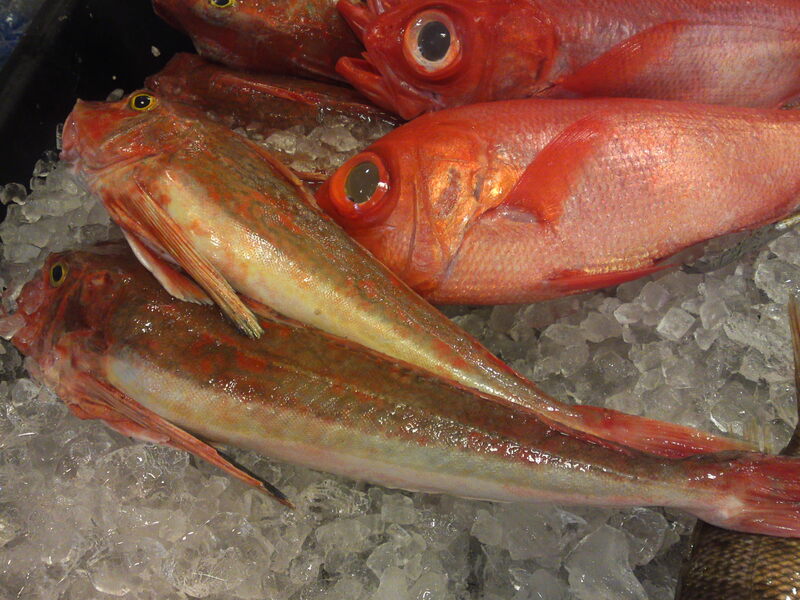 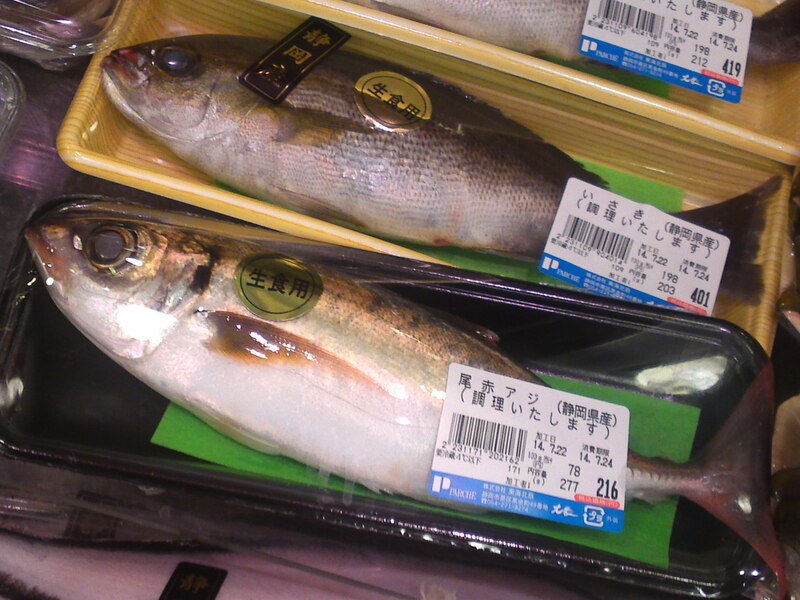 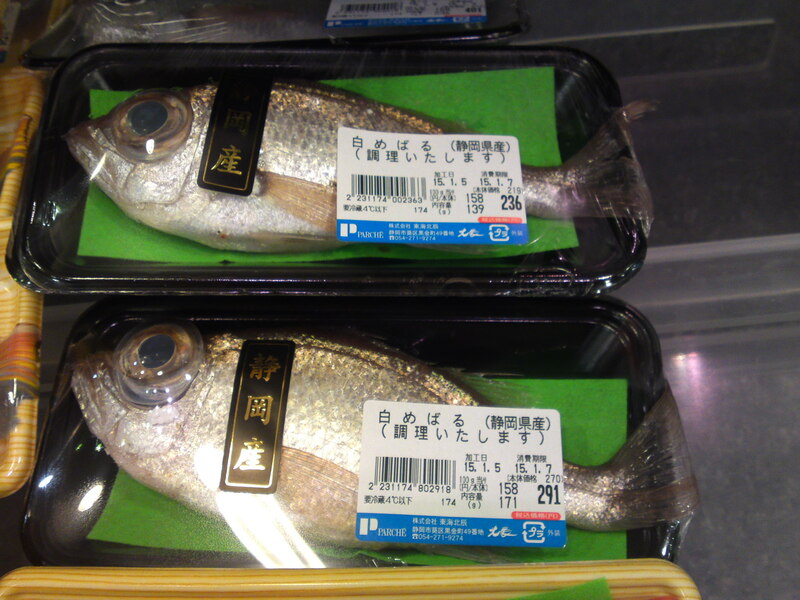 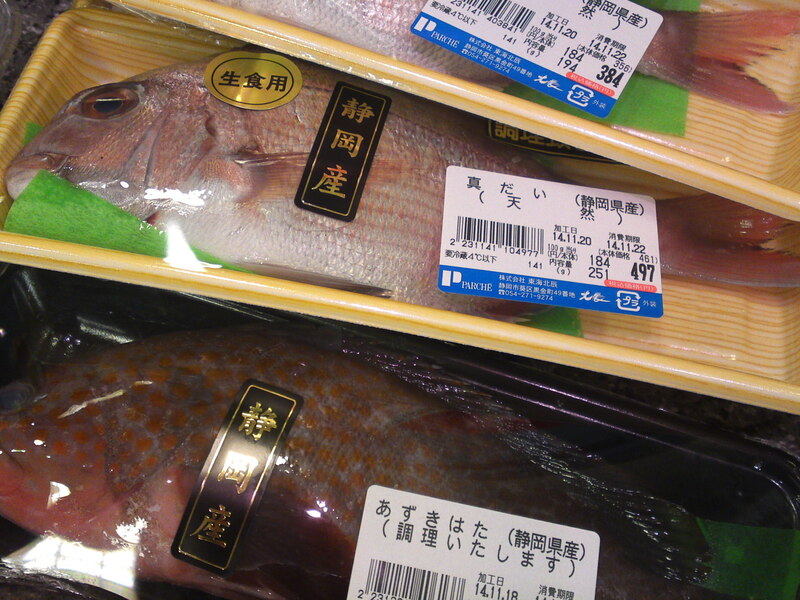 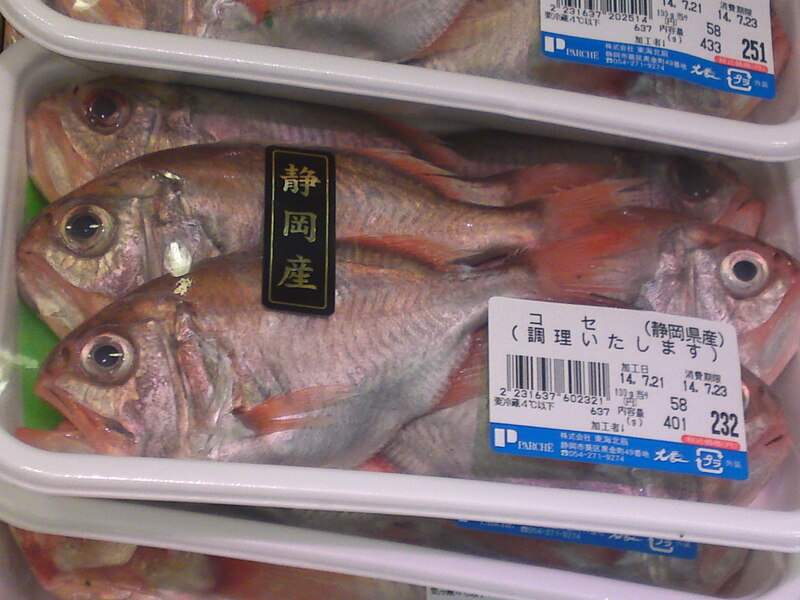 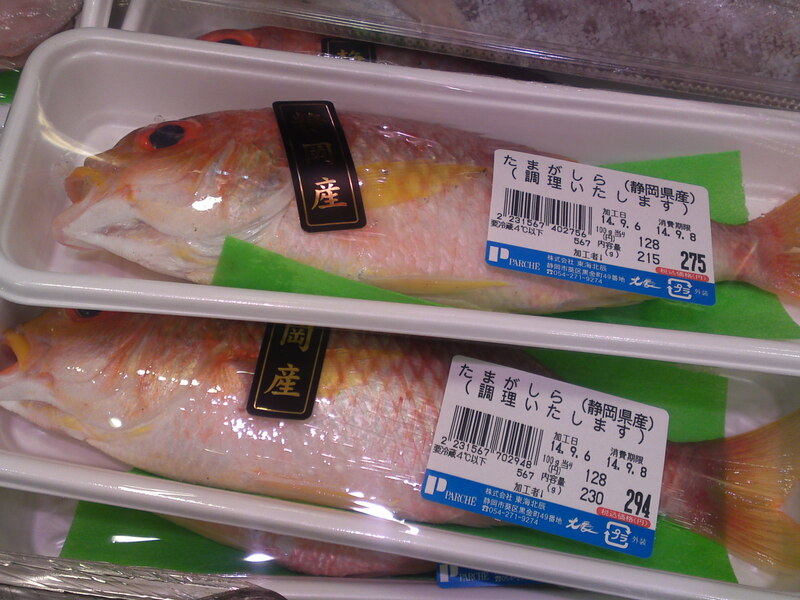 Kinmedai/金目鯛/splendid alfonsino (above) and Hobou/方々/red robins 8below)! 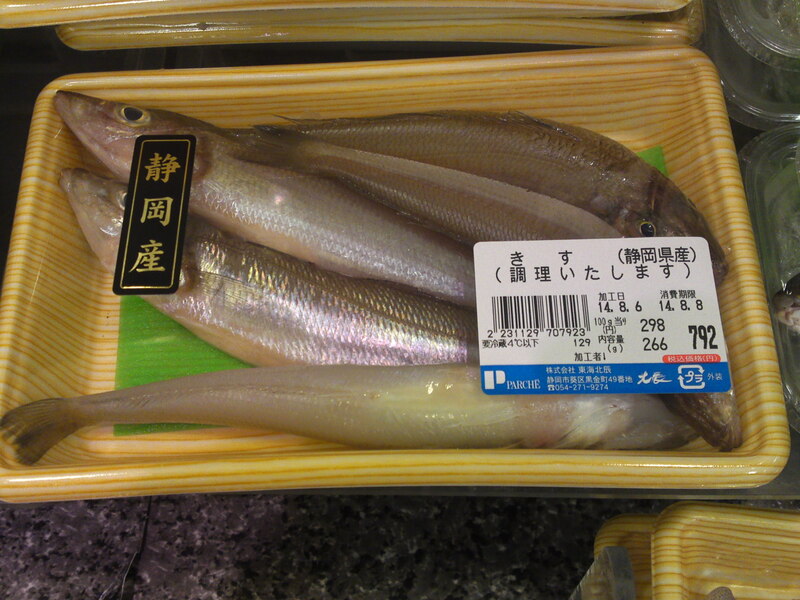 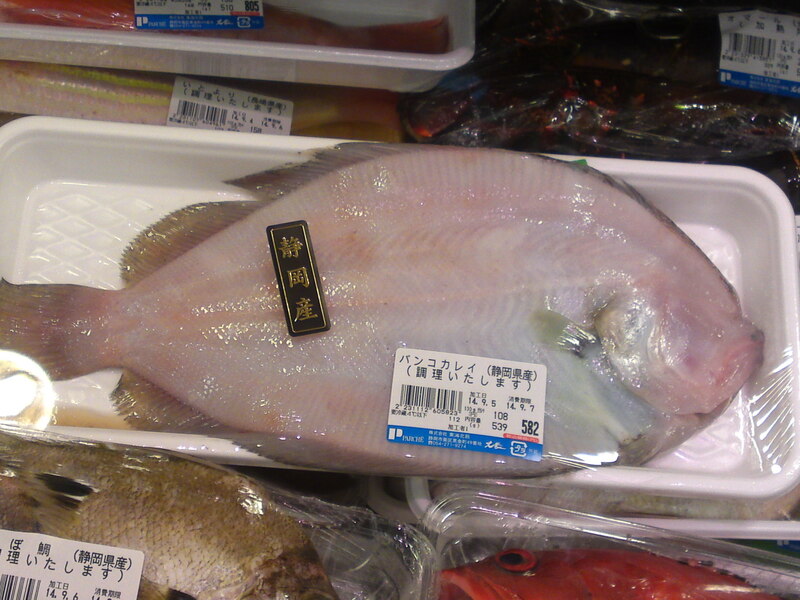 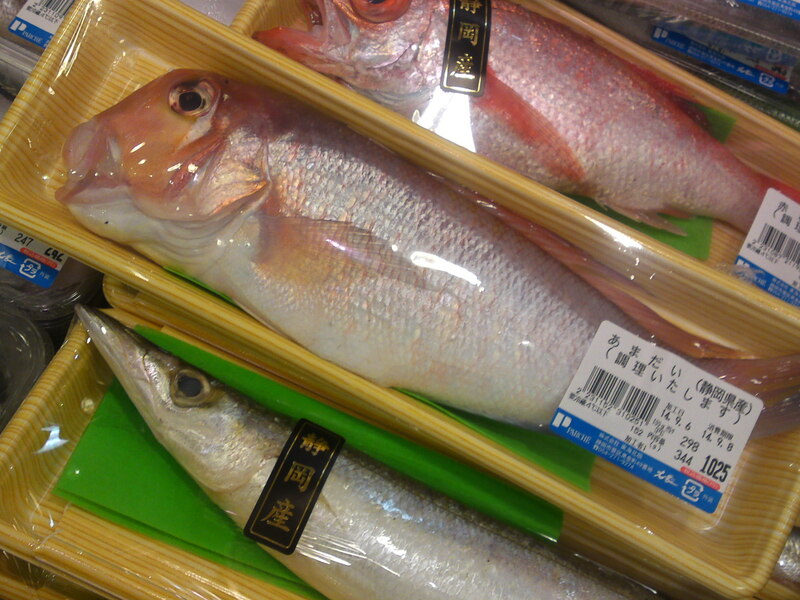 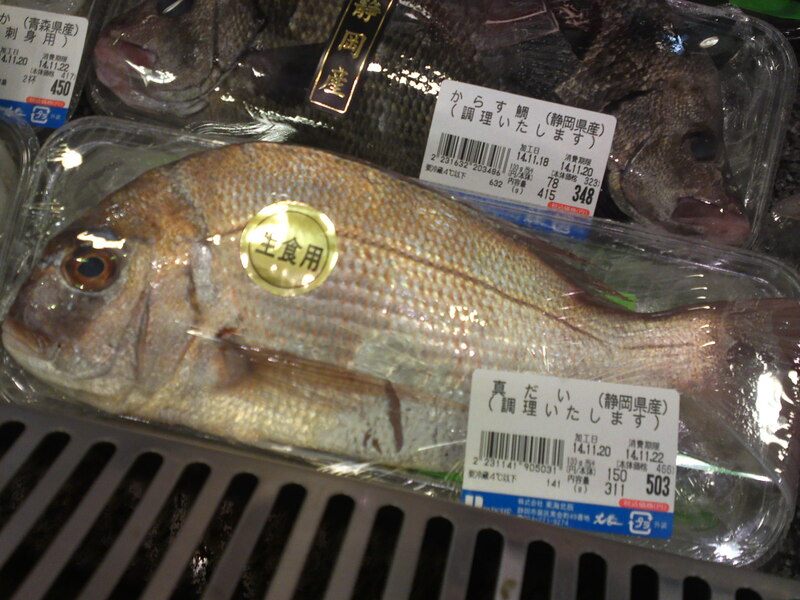 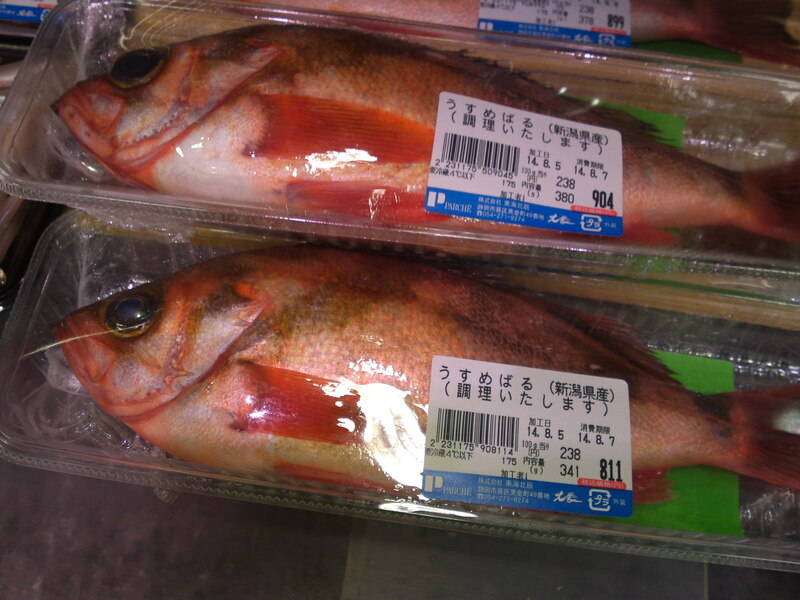 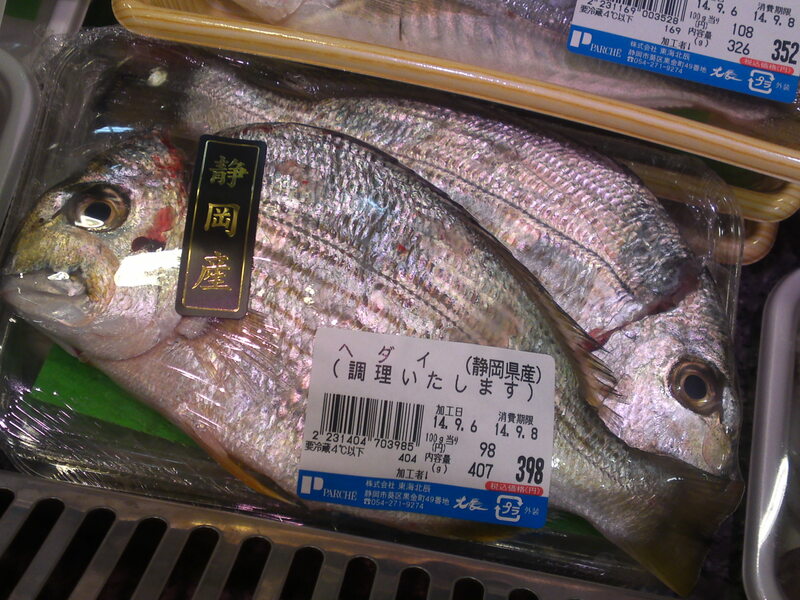 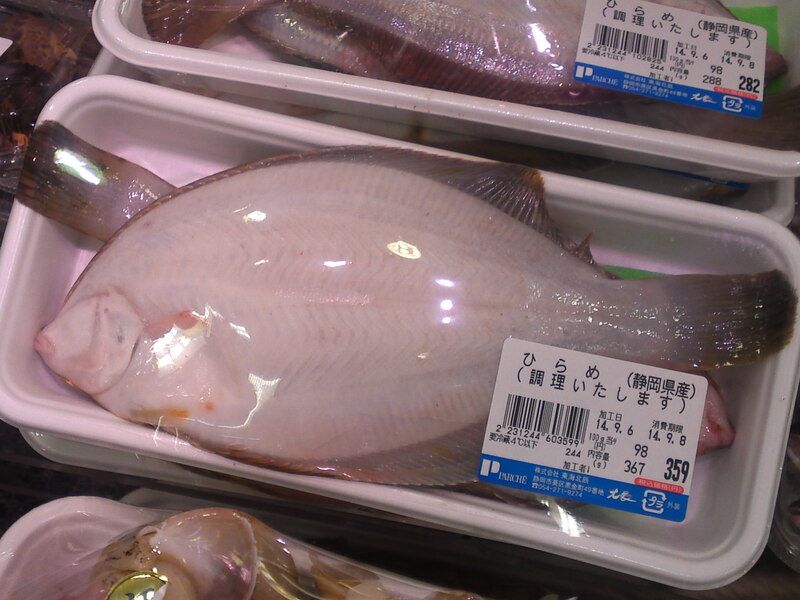 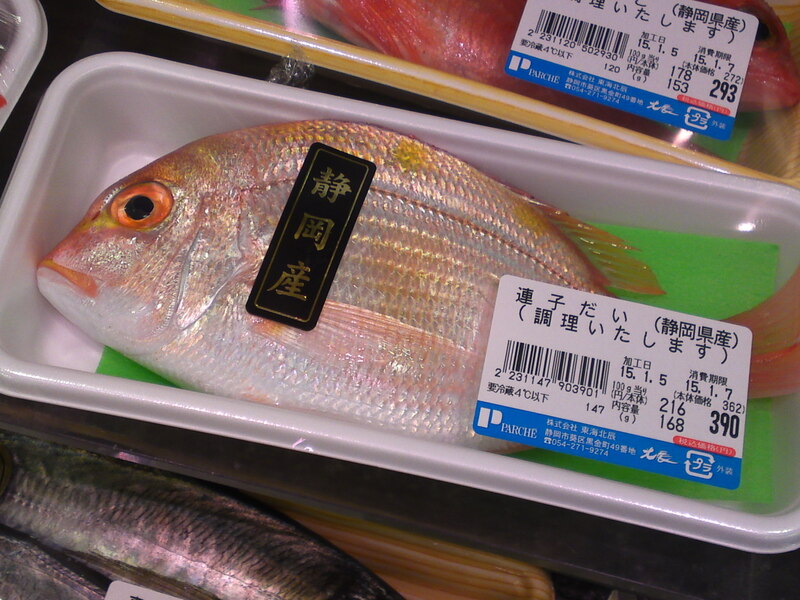 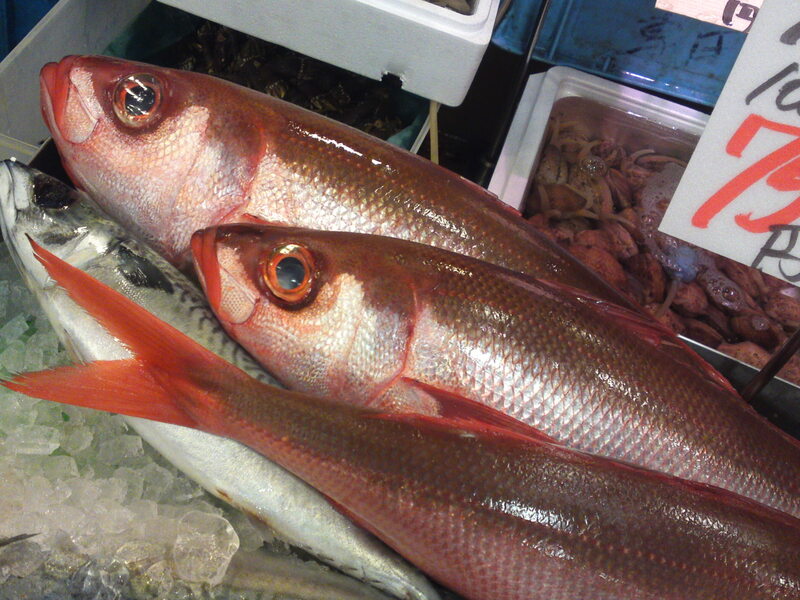 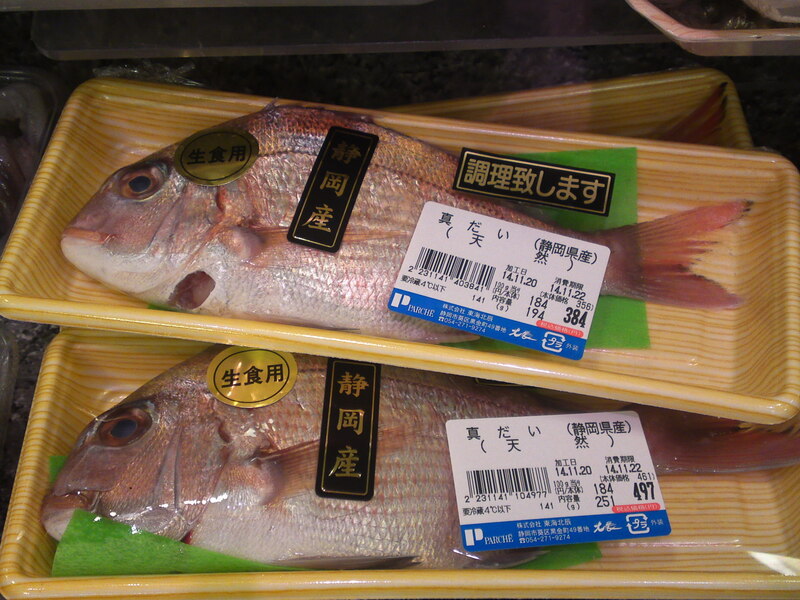 Small but expensive Kuchimidai/口美鯛/haarder, redlip mullet-Liza haematocheila (Temminck and Schlegel)! 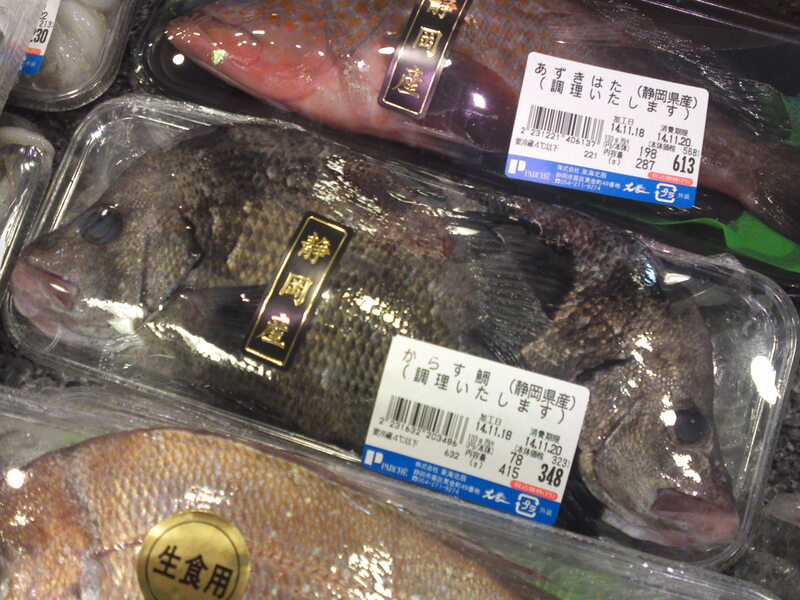 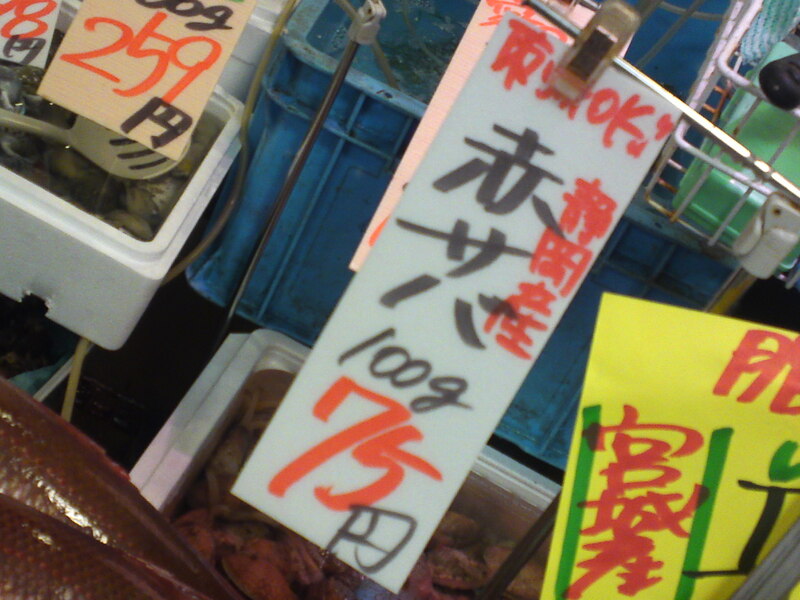 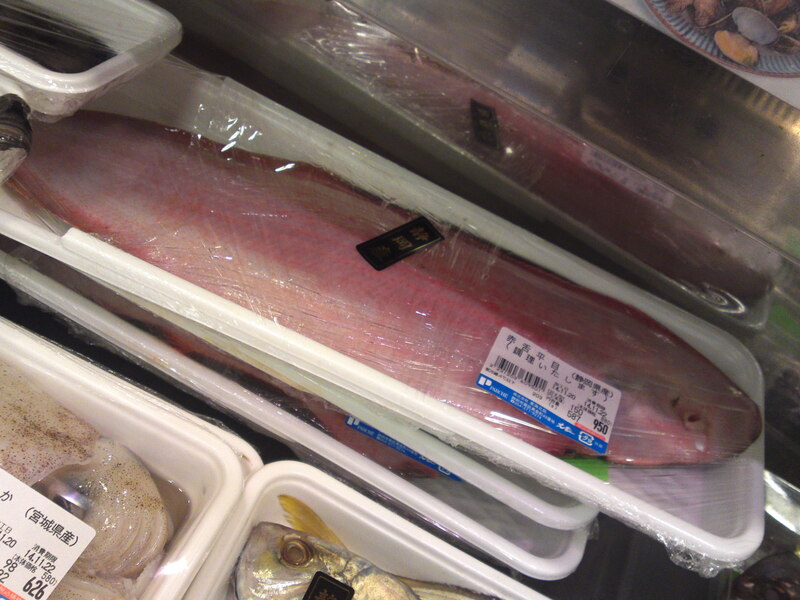 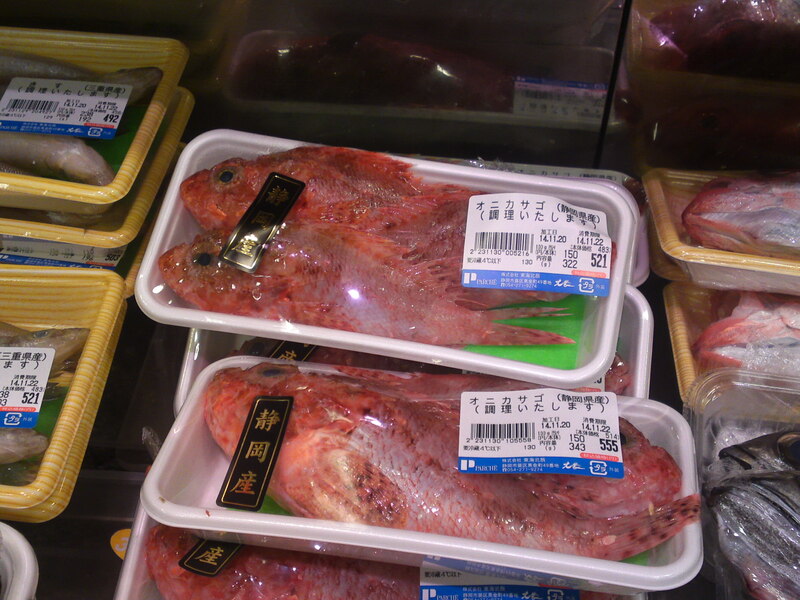 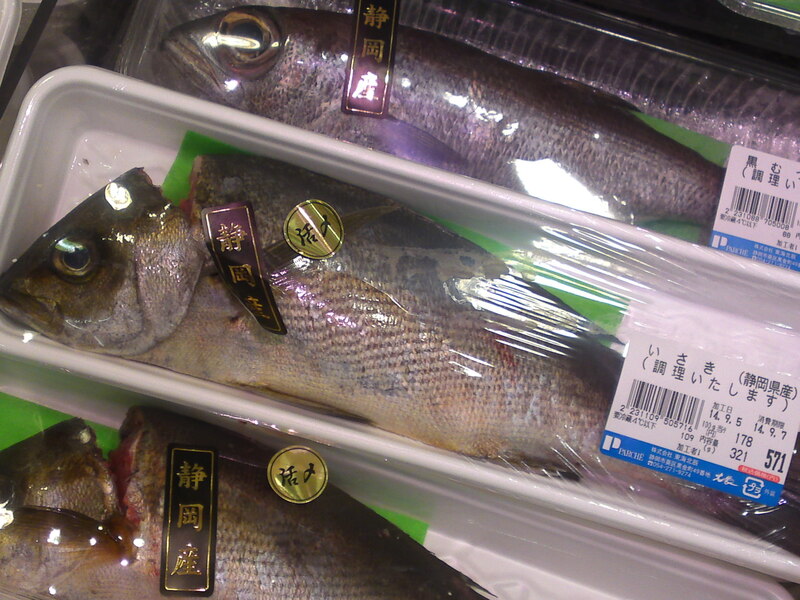 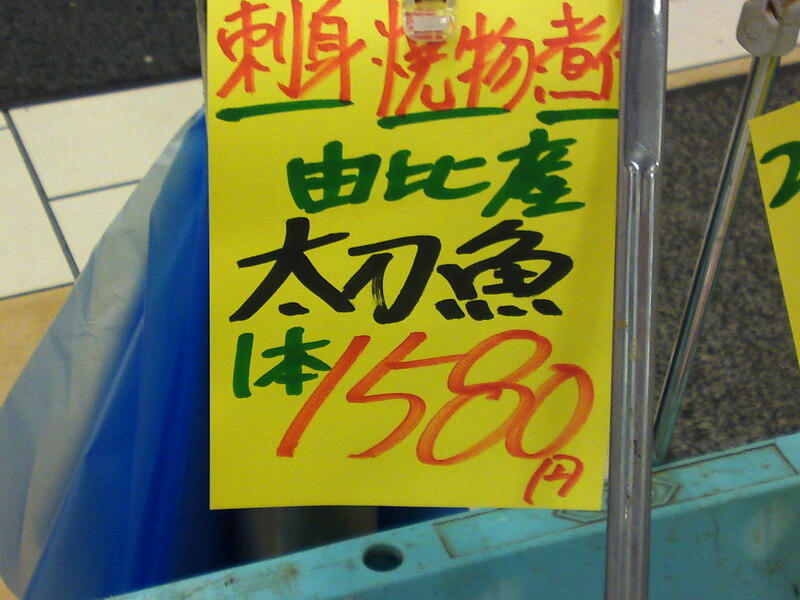 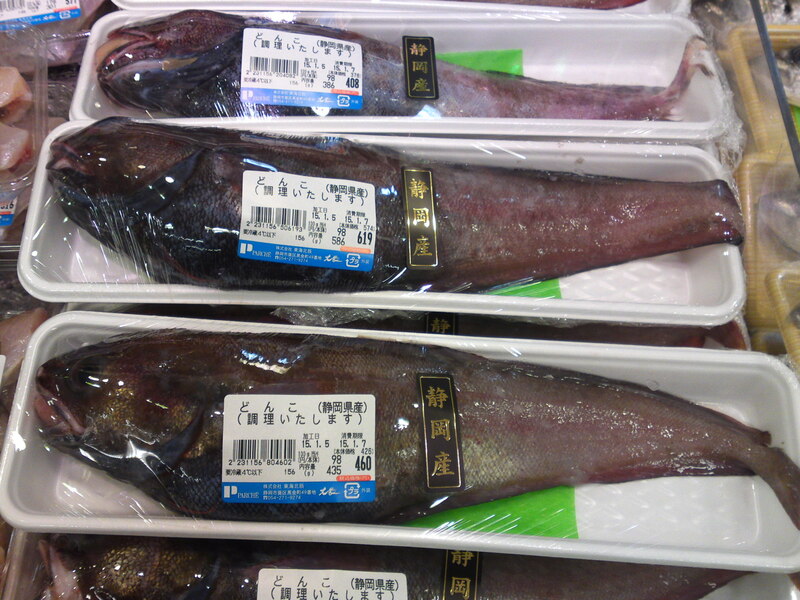 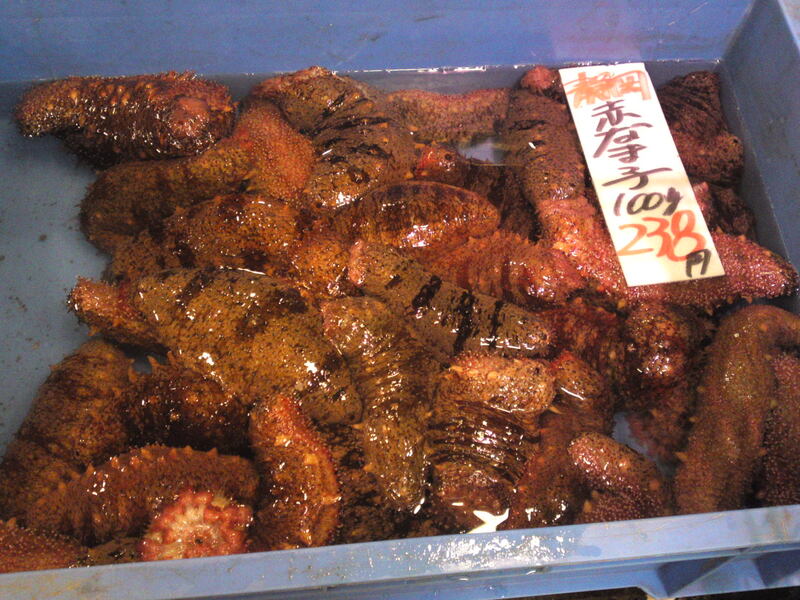 A local expensive grouper also going by the name of “Menada/目奈陀・目魚”! 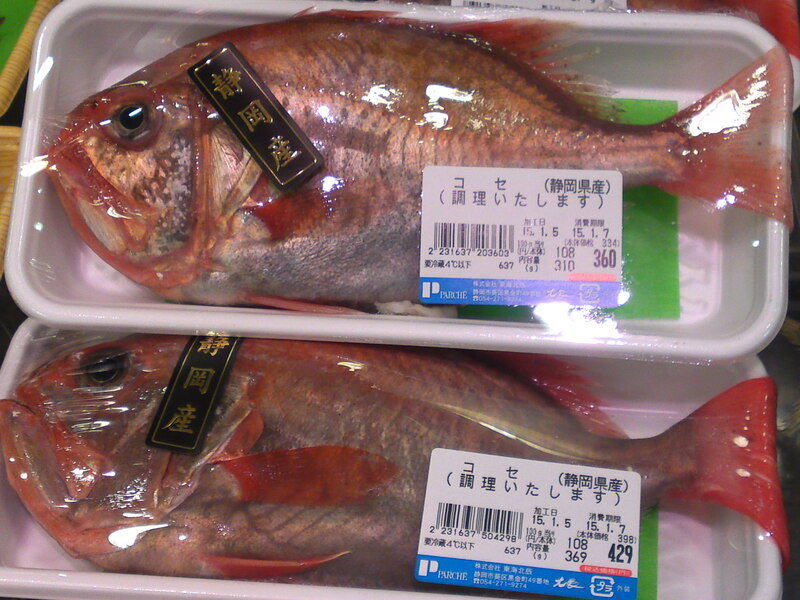 Usumebaru/薄目張 (also called Okimebara/沖目張): sebastes Thompson (Jordan and Hubbs): a variety of Japanese sea perch, Japanese rock fish. 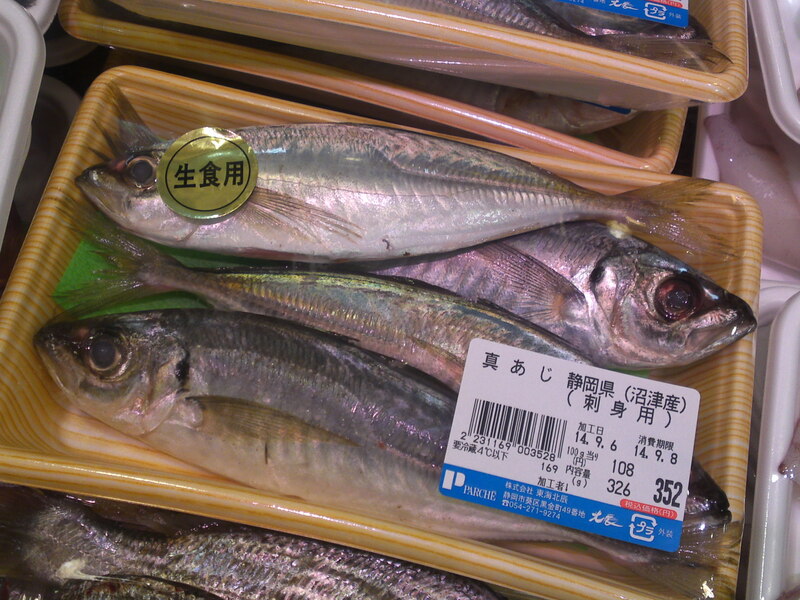 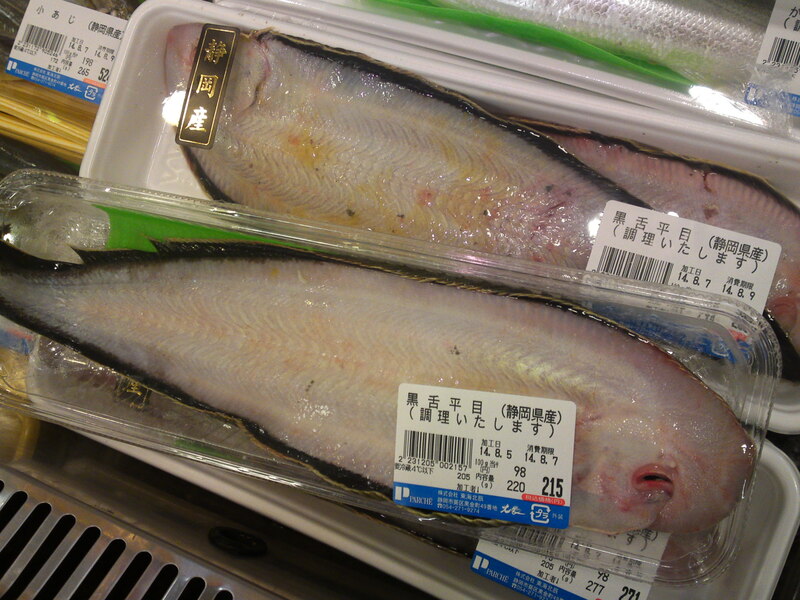 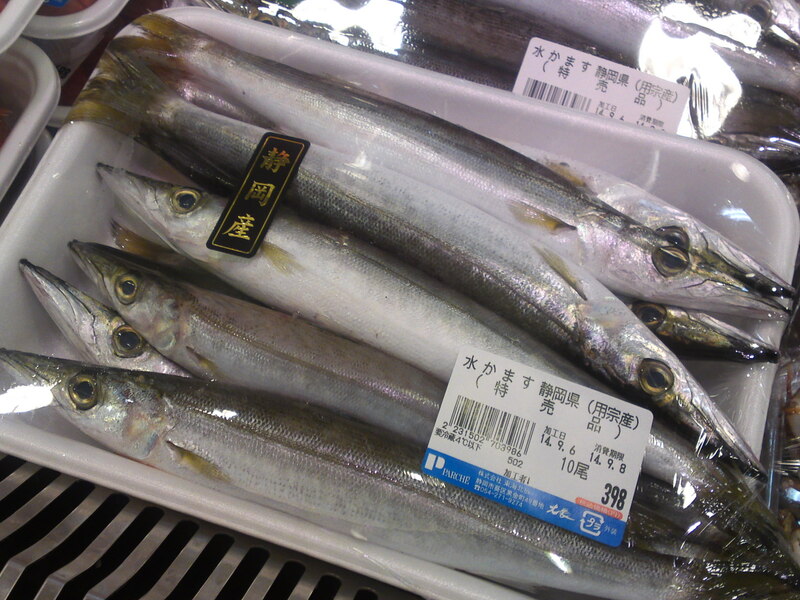 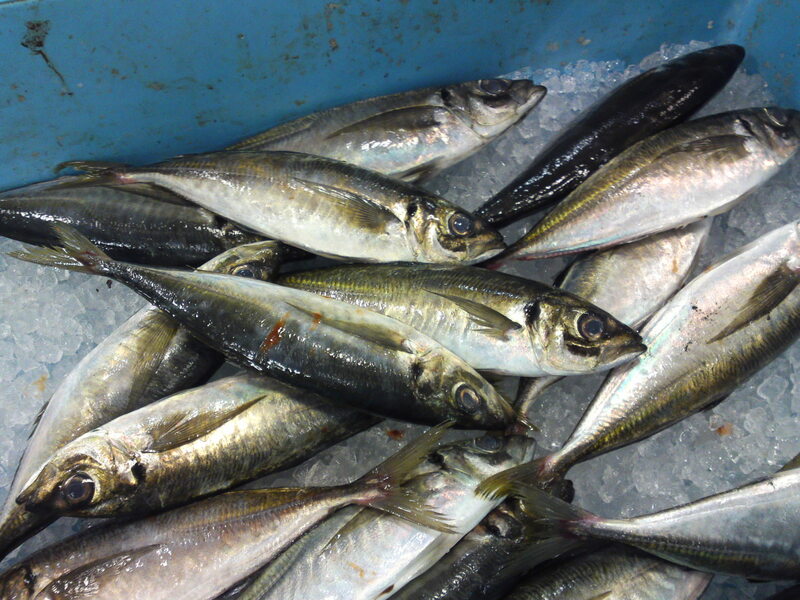 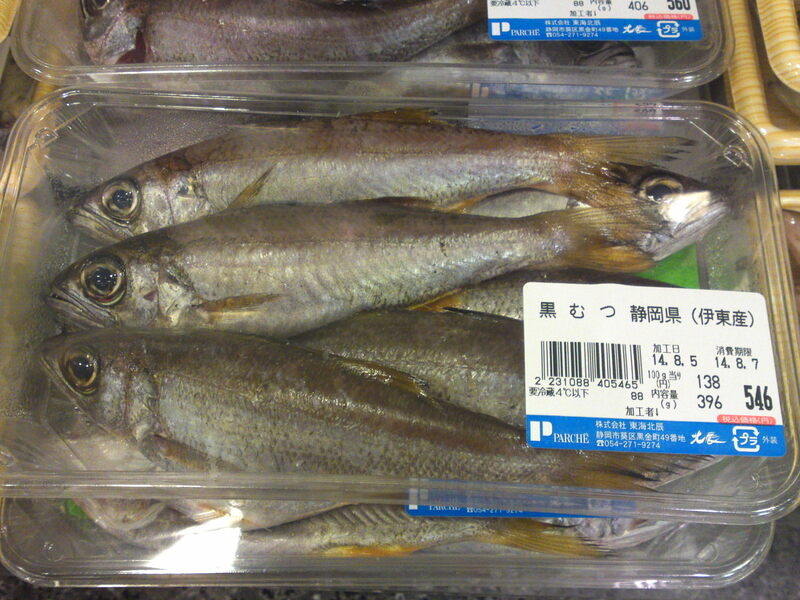 Ko Aji/子鯵: very young horse mackerel (also called Mame aji/豆鯵)! 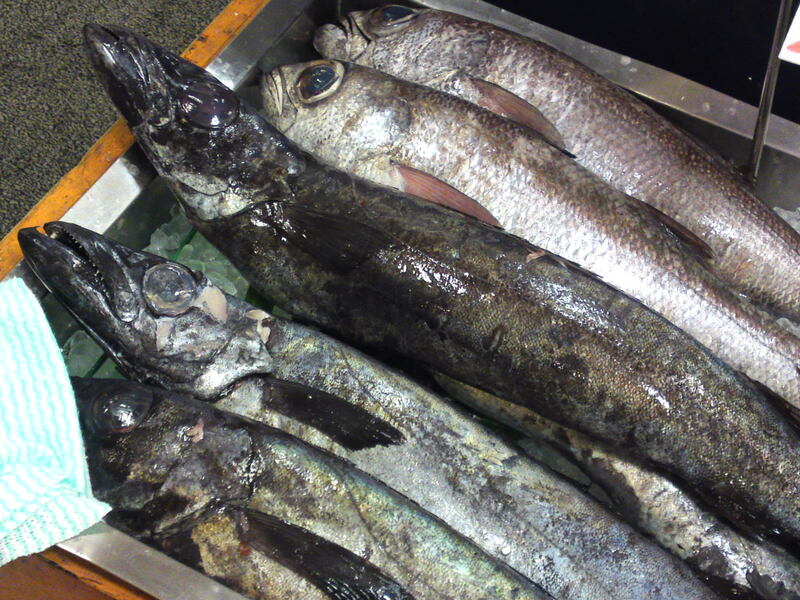 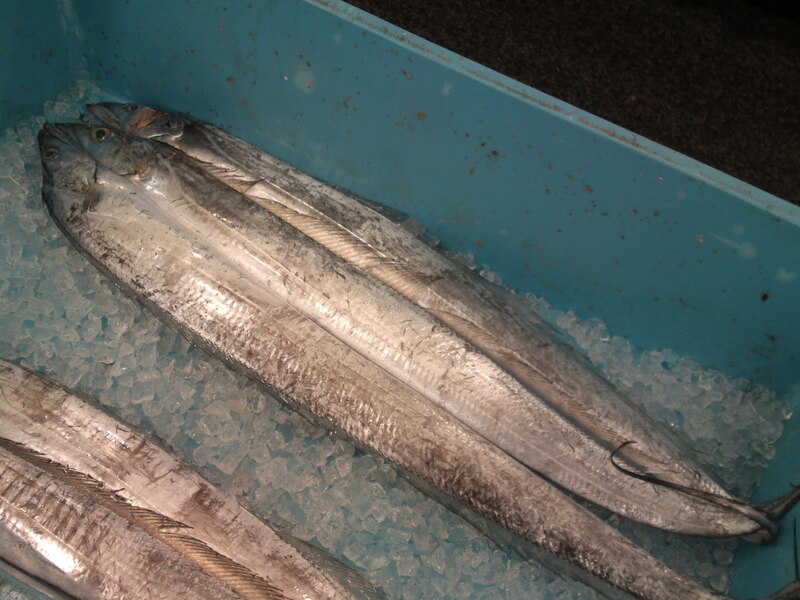 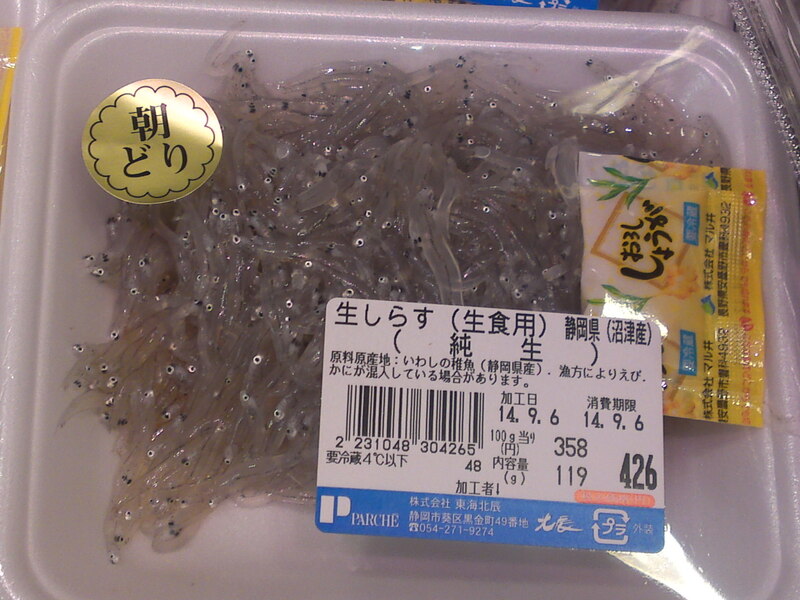 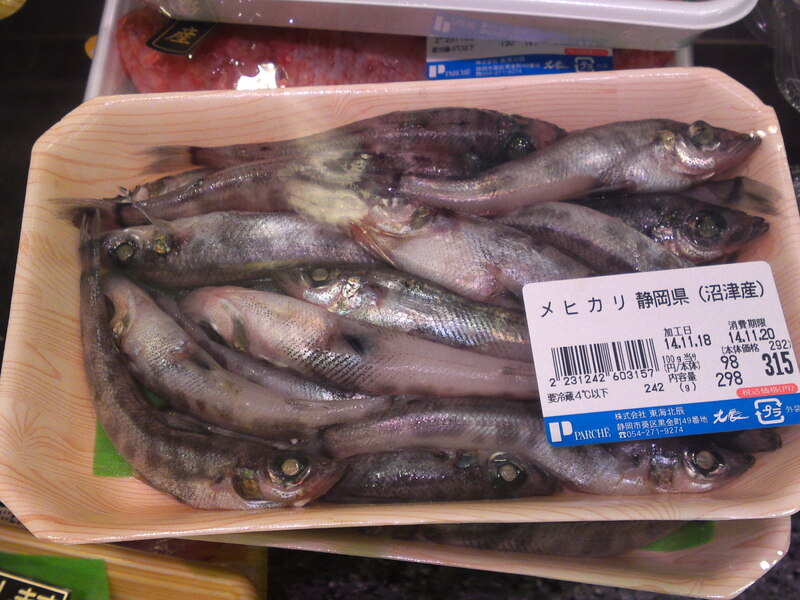 Kuromutsu/黒鱫、黒鯥: Black gnomefish from Ito City! 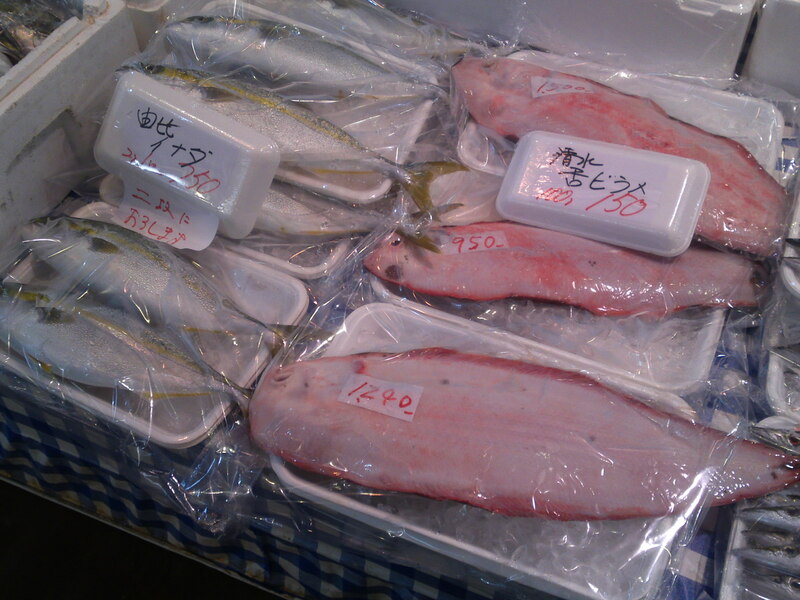 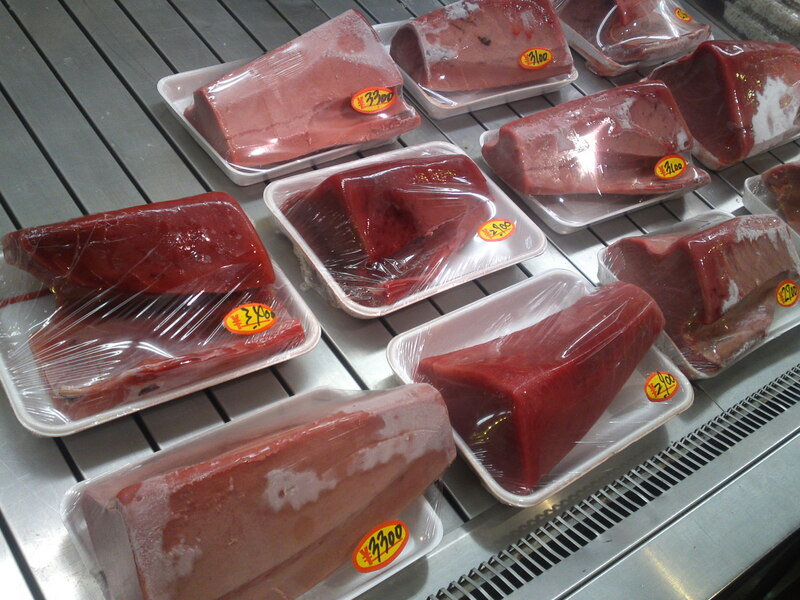 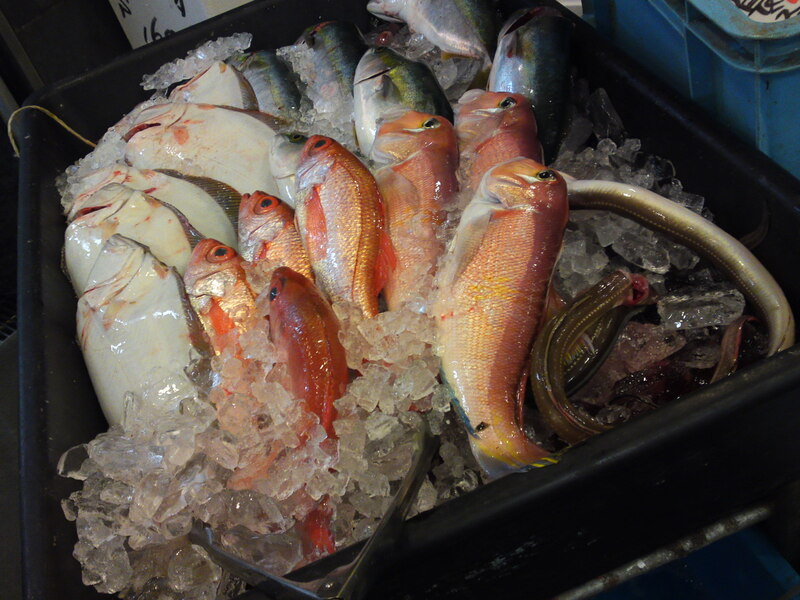 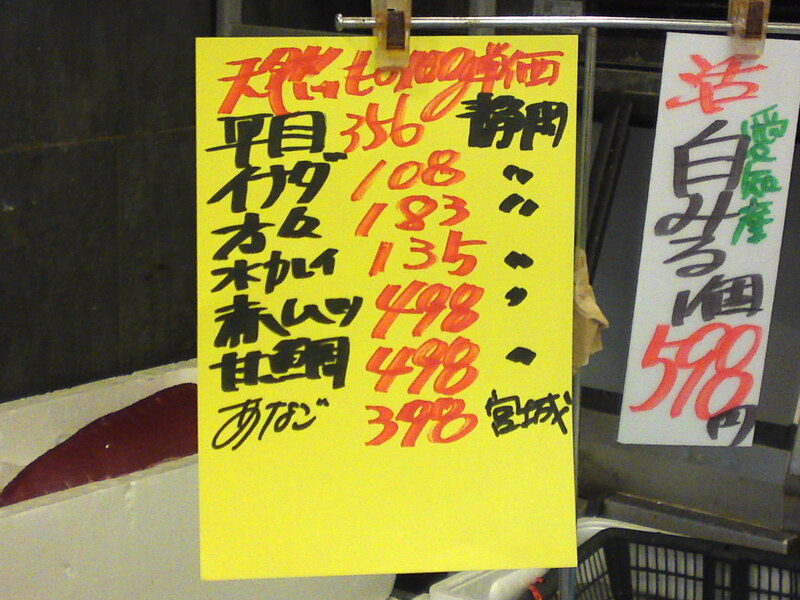 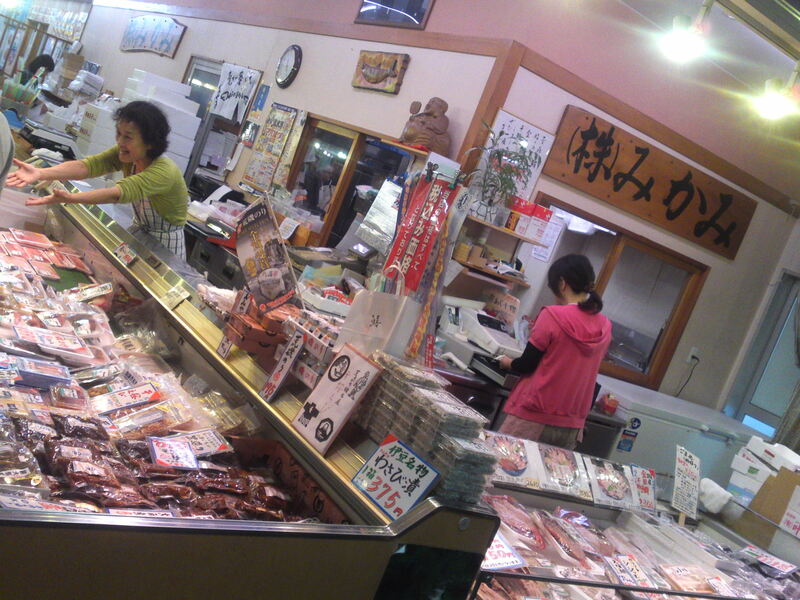 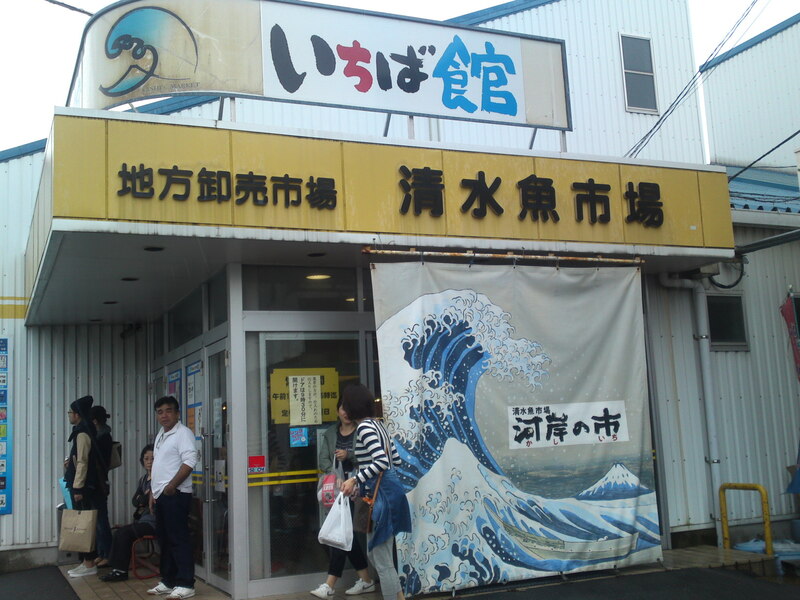 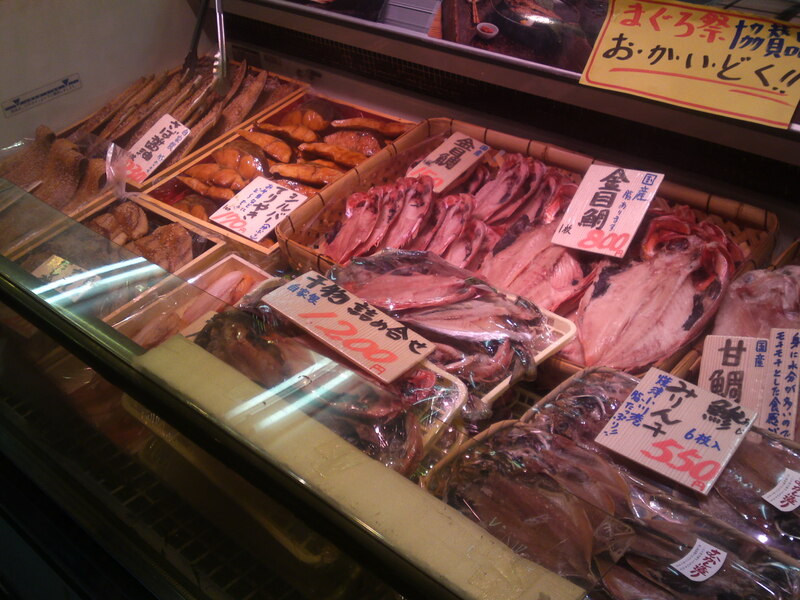 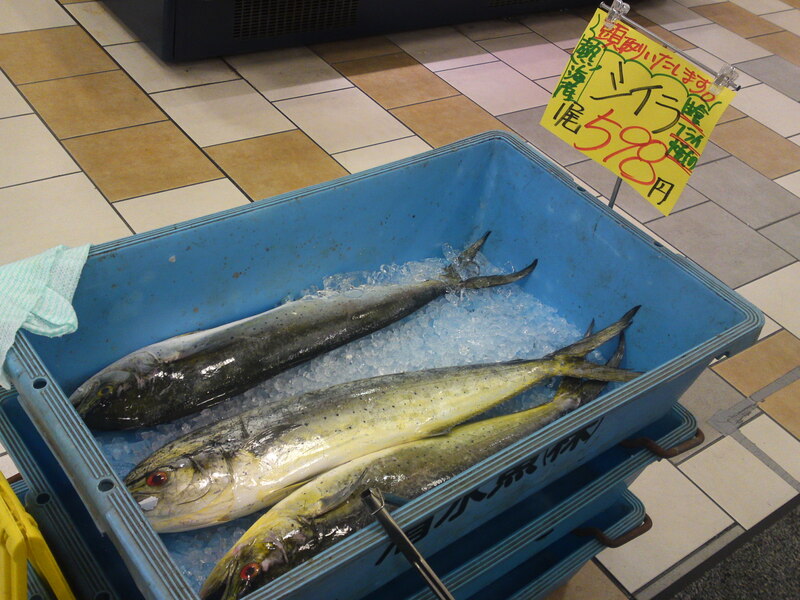 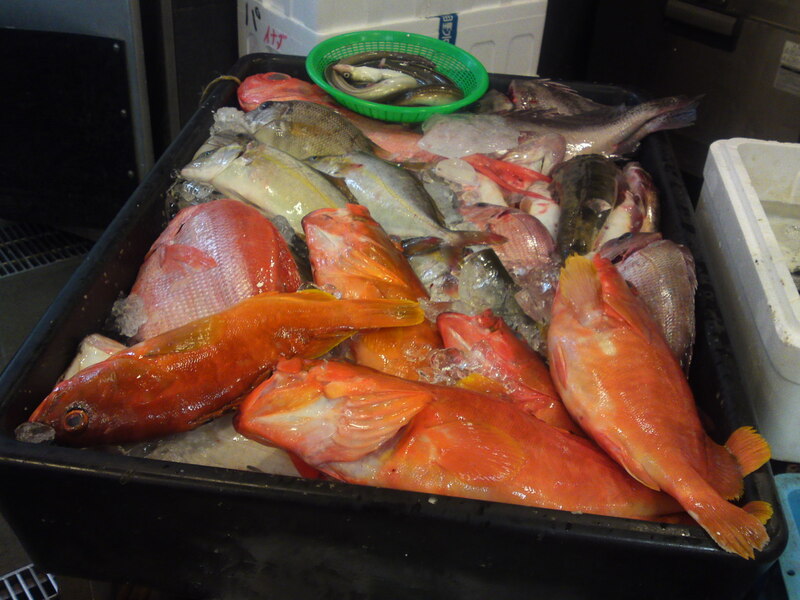 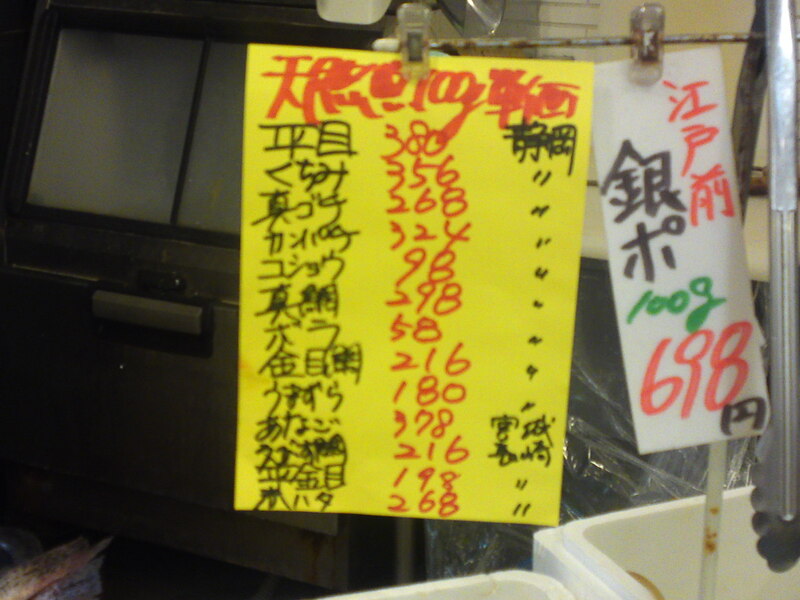 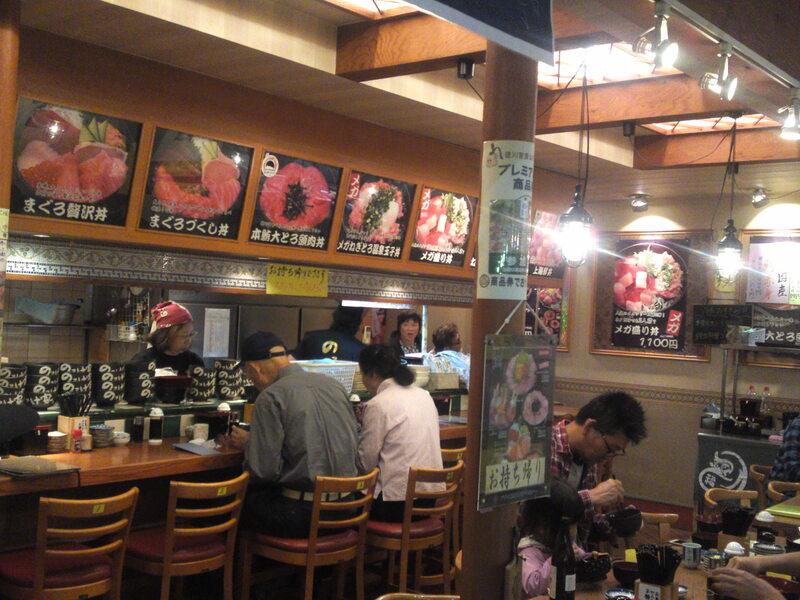 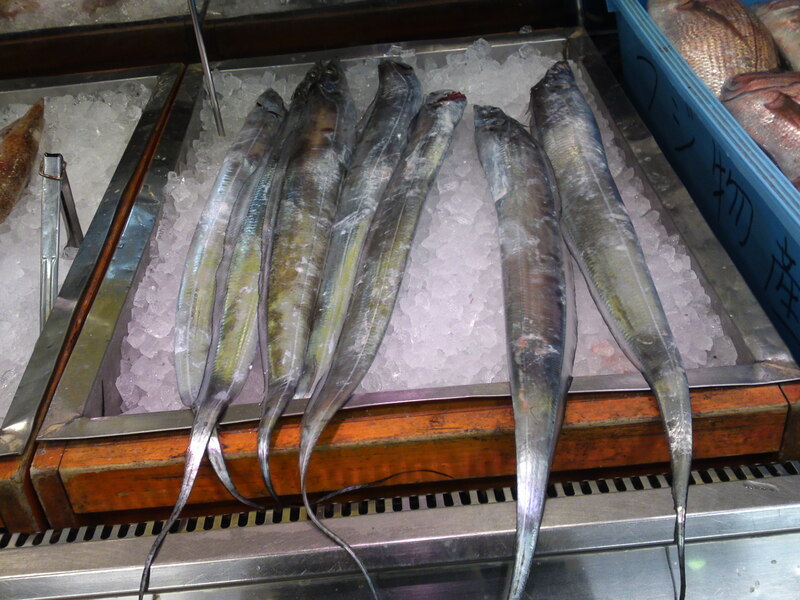 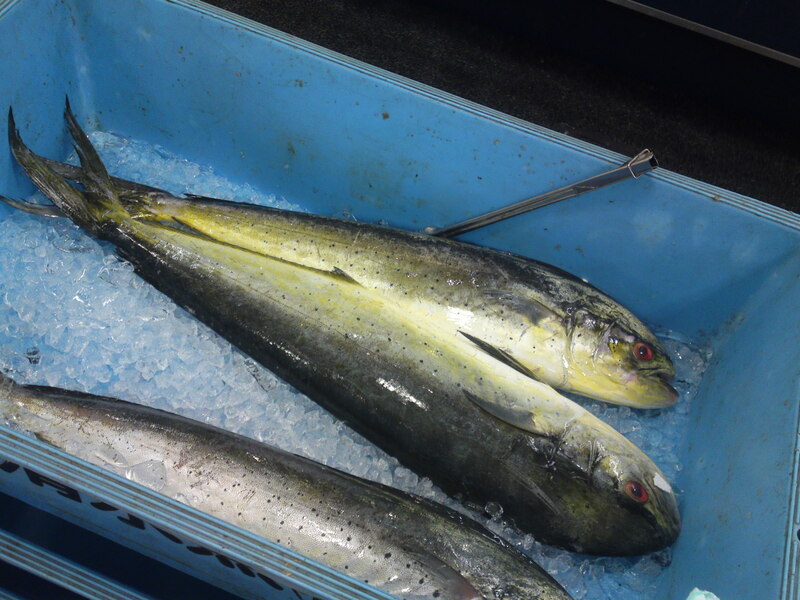 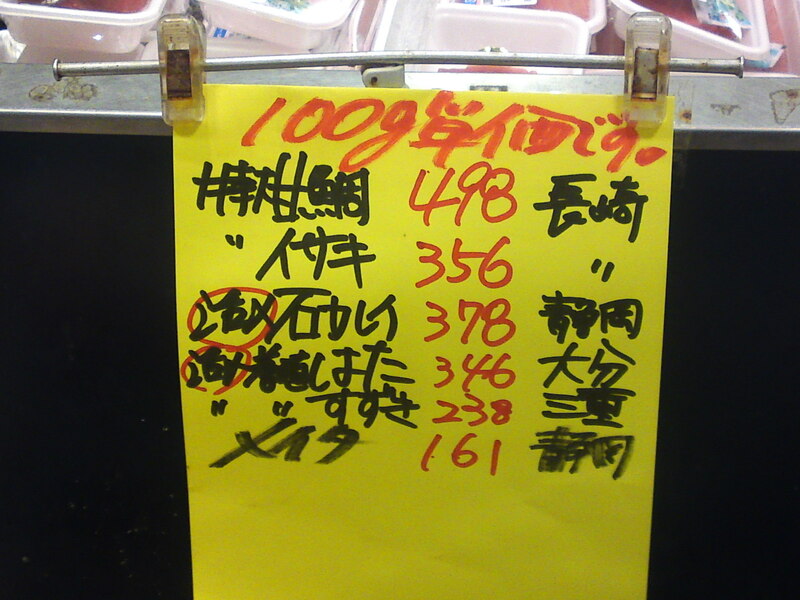 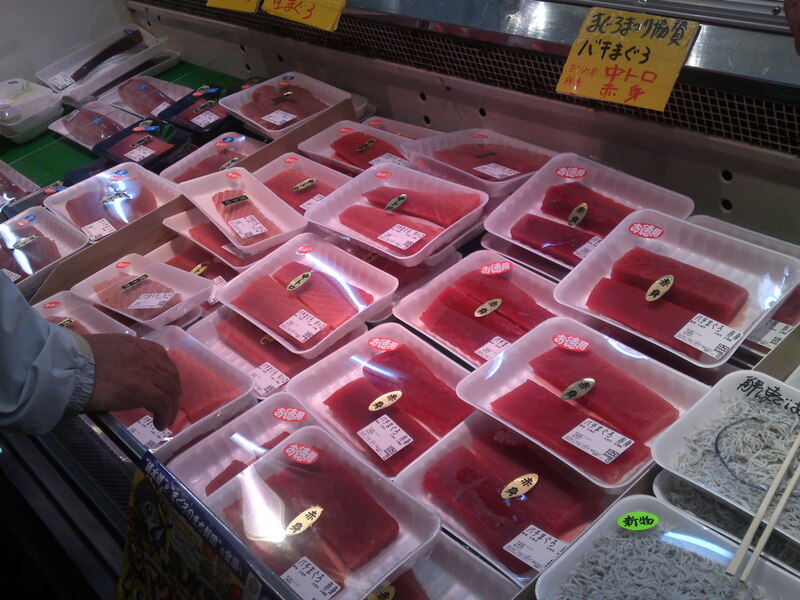 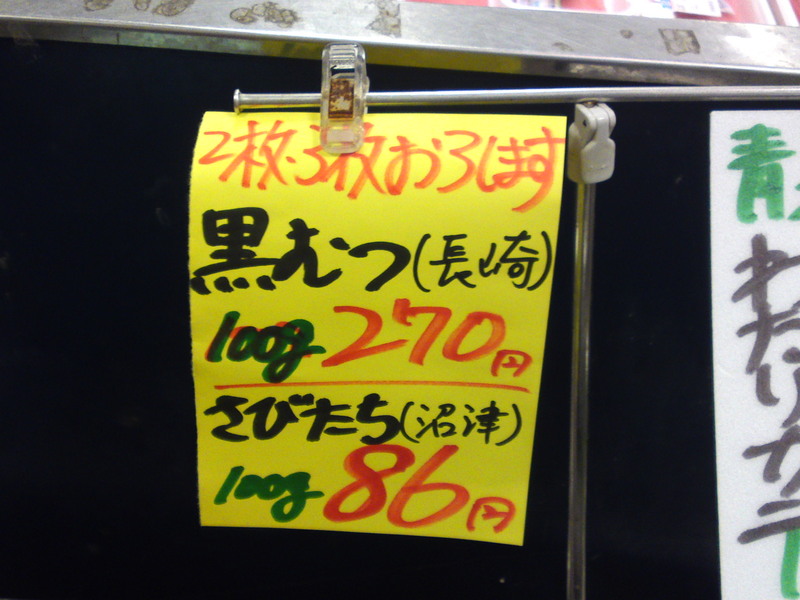 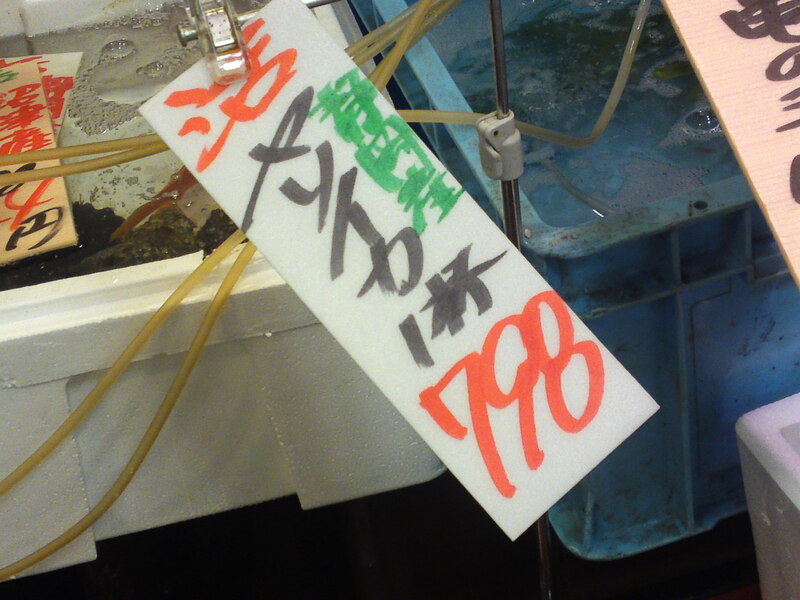 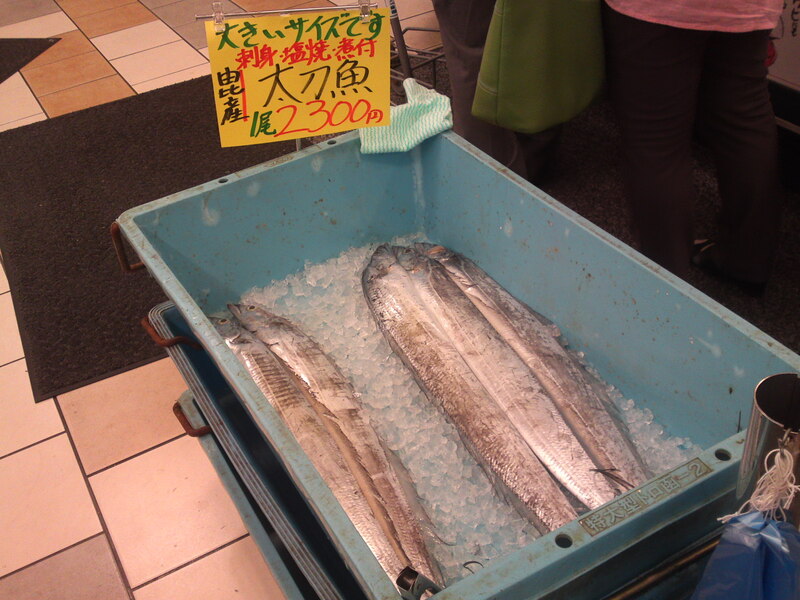 Local Shizuoka Fish & Seafood at Parche Fish Market in Shizuoka City: Including Shiira/Mahi Mahi! 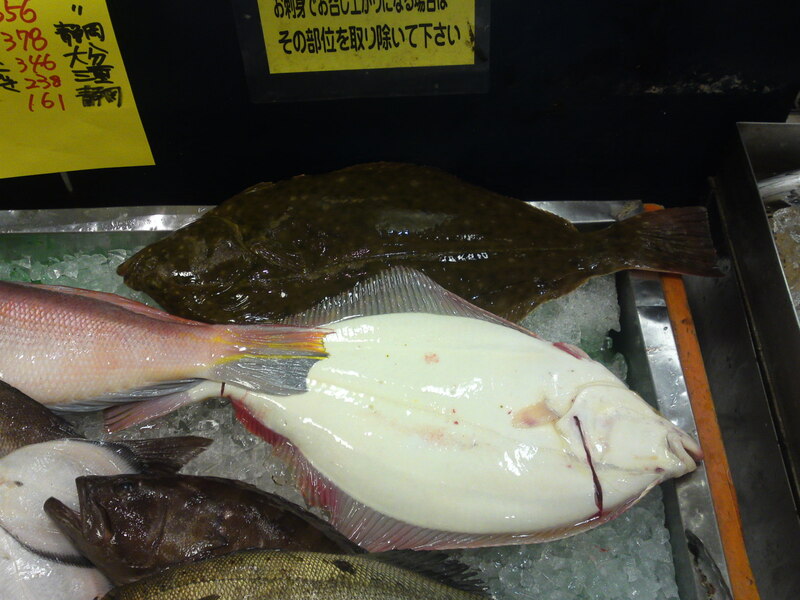 The recent typhoons and changeable weather of late had allowed me to look at the local fish available at Parche Fish Market inside Shizuoka JR Station but yesterday I finally could have a peek! 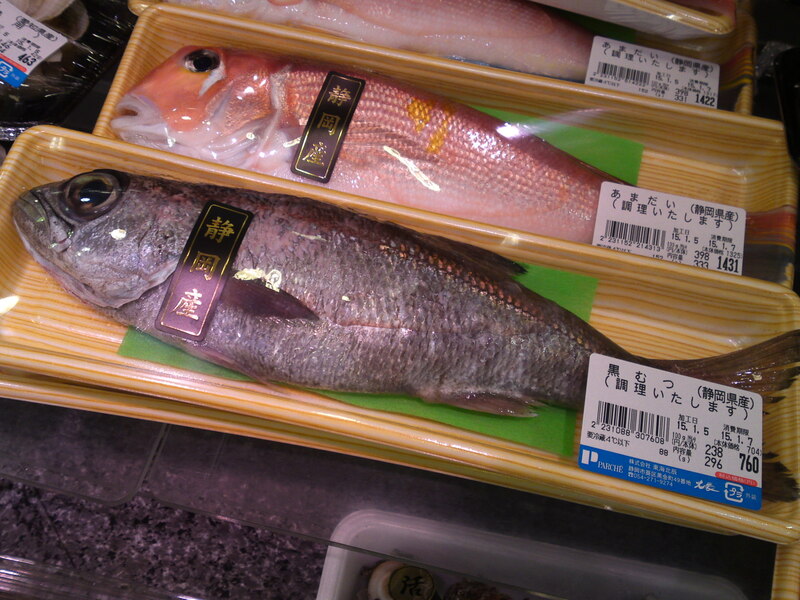 Now, what are these big fish? 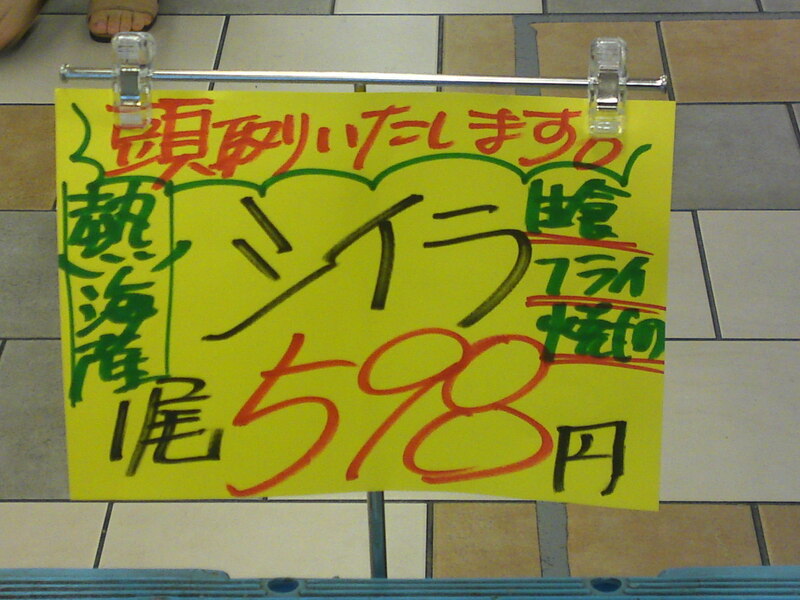 Less than 6 US $ apiece! 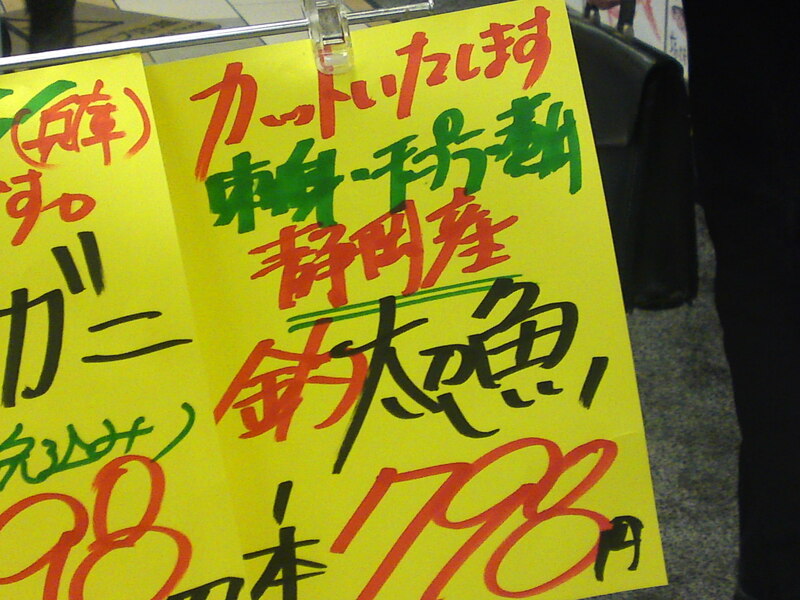 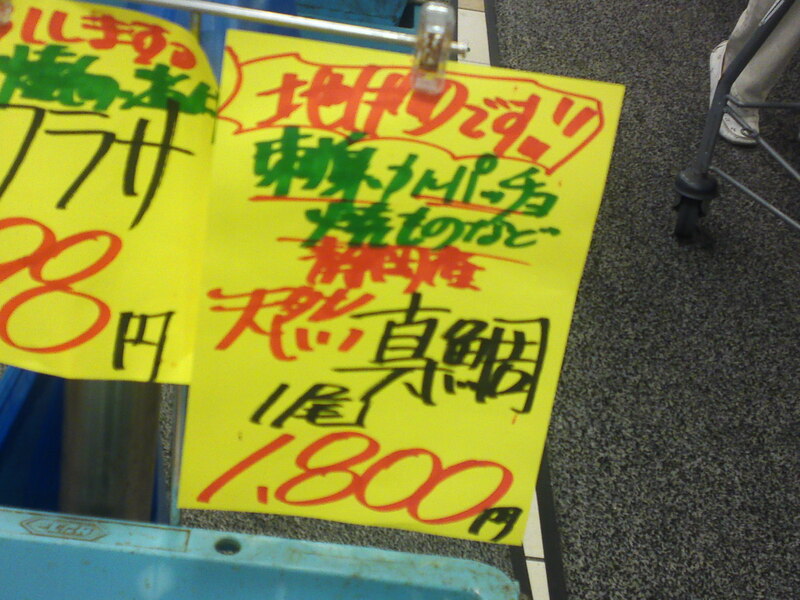 Now, this is cheap by Japanese standards! 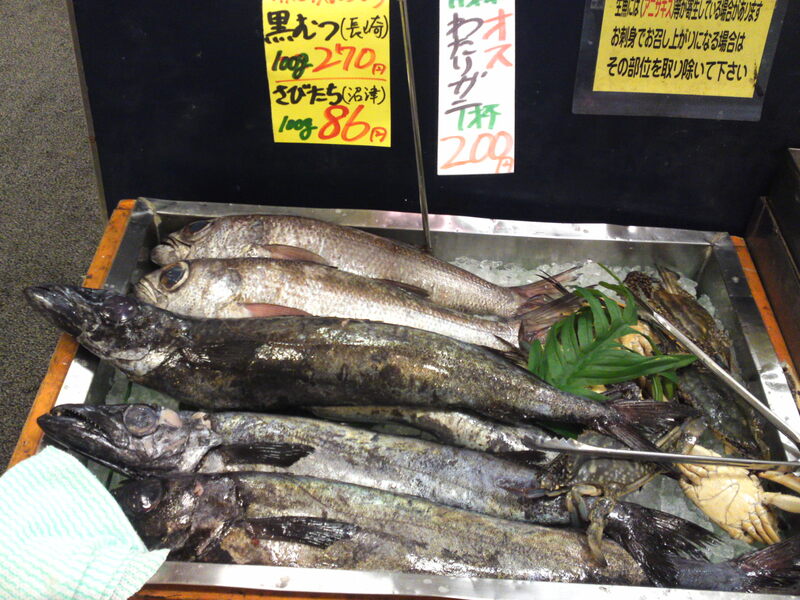 caught off Atami City! 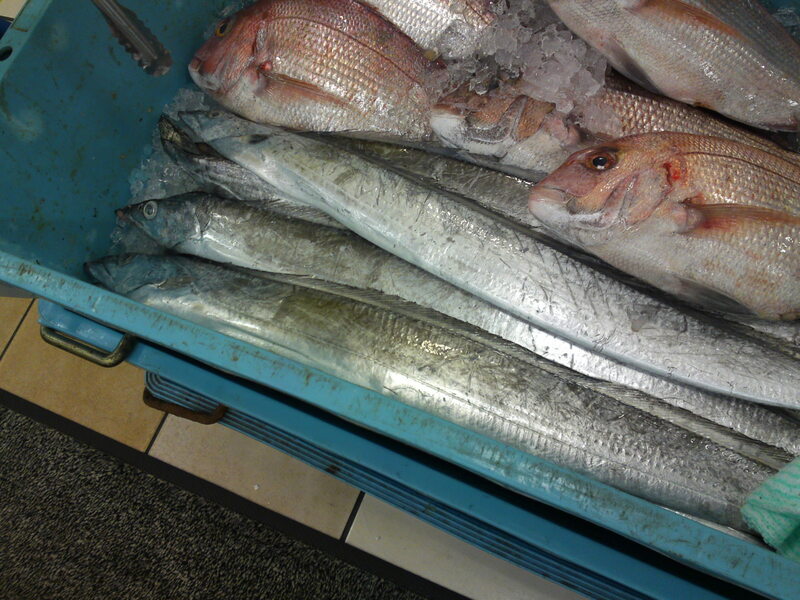 And what about these big, long silver fish? 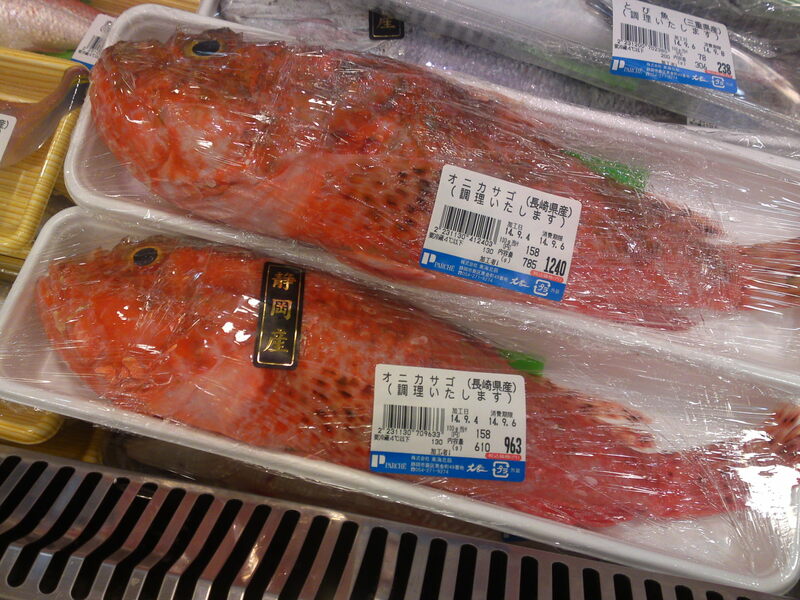 At 23 US $, not so cheap, but they are big and super fresh! 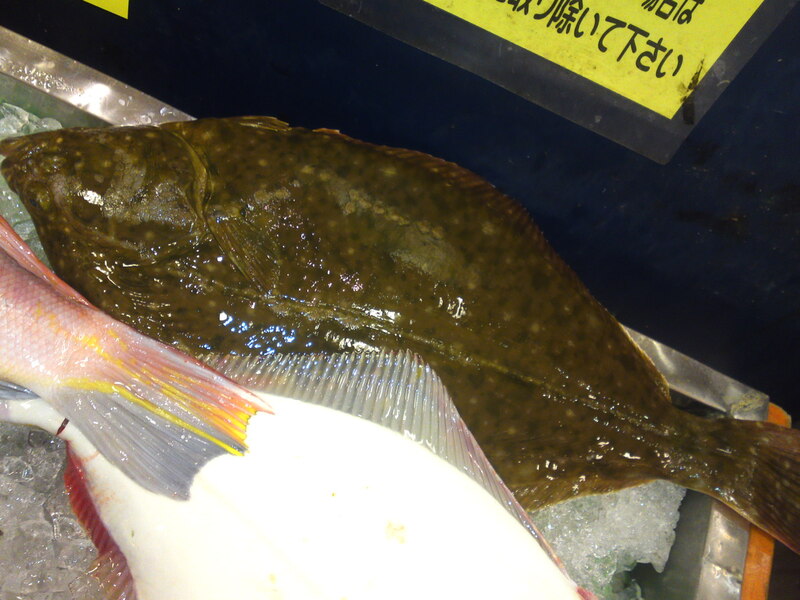 Caught off Yui, Shimizu Ku, Shizuoka City! 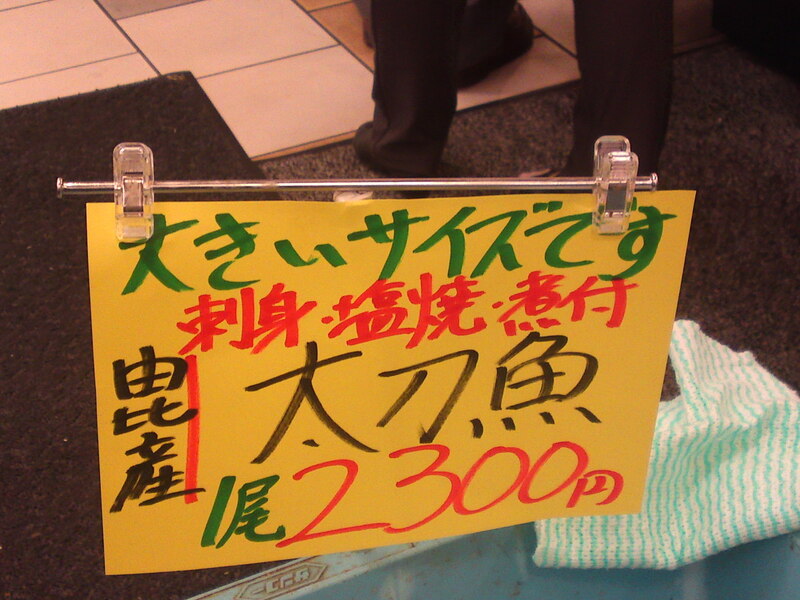 So fresh! 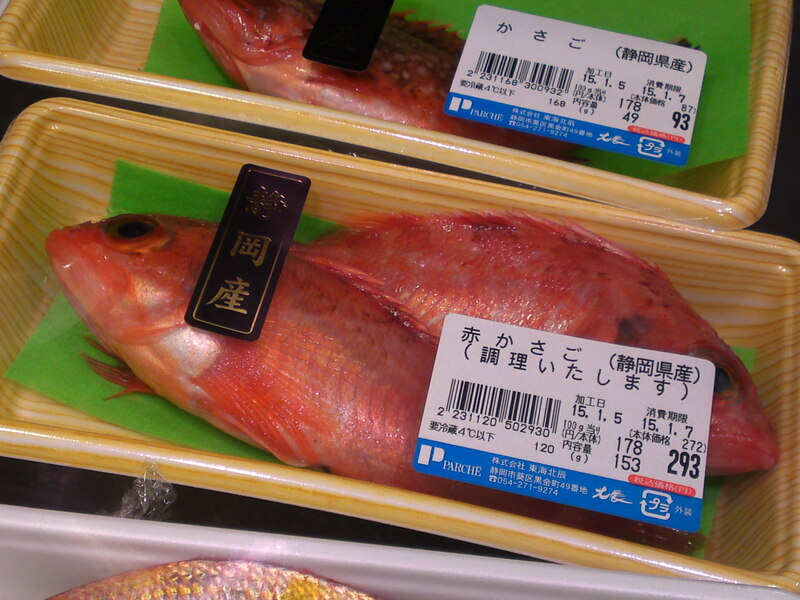 This is a fish which tends to spoil off quickly! 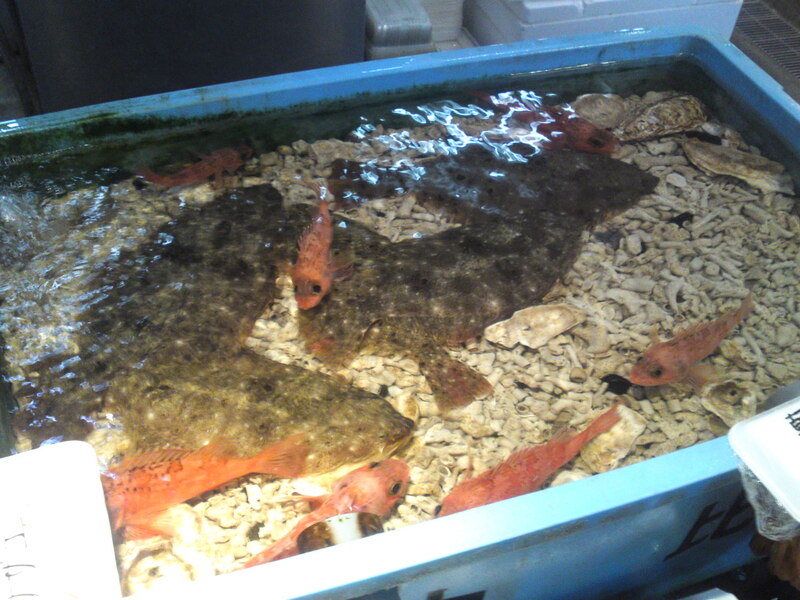 What are these big flat fish on top? 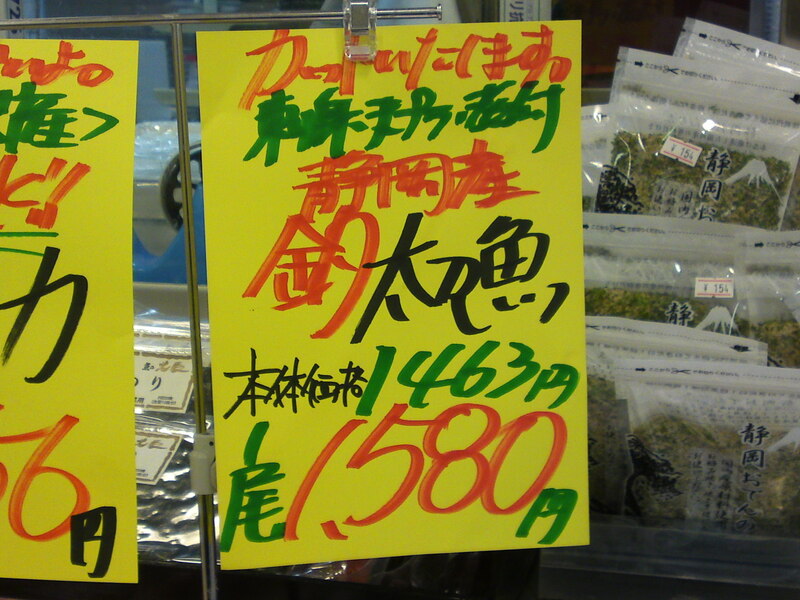 At more than 3.50 US $ per 100 grams, not cheap! 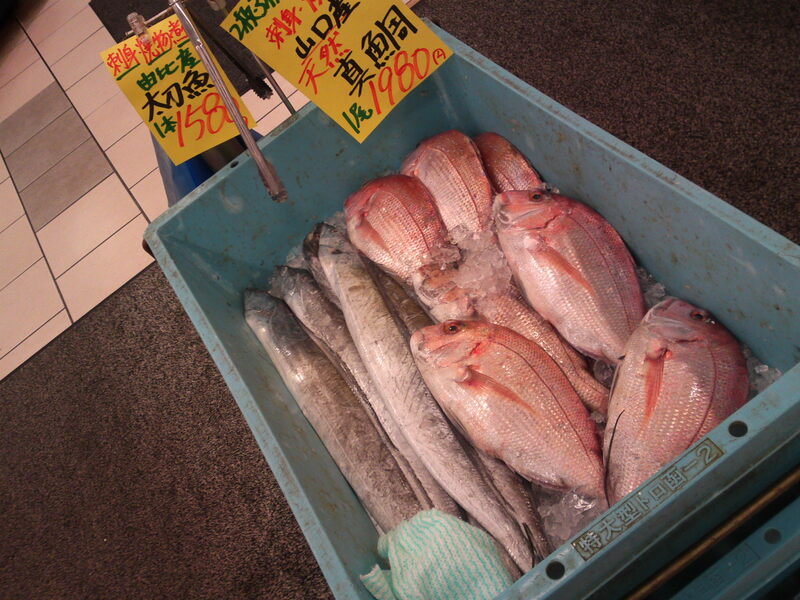 Kose/コセ/A variety of Stripped jack! 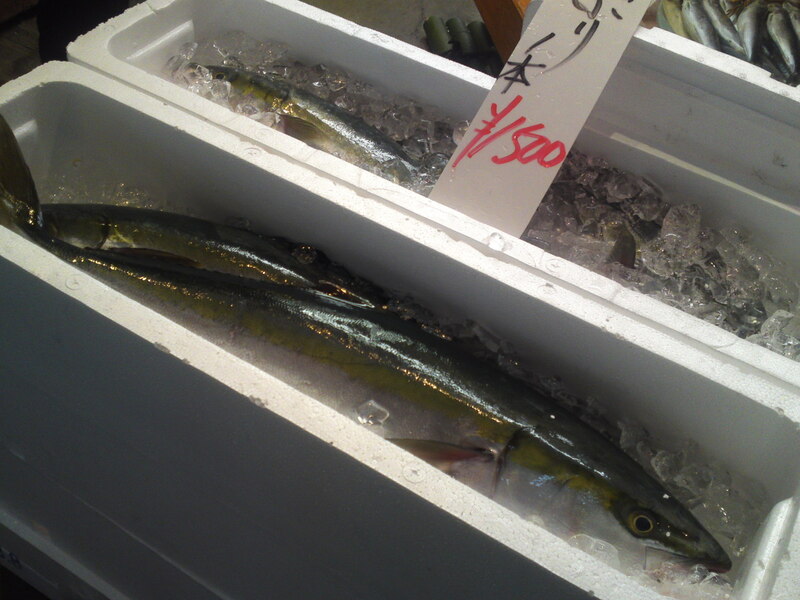 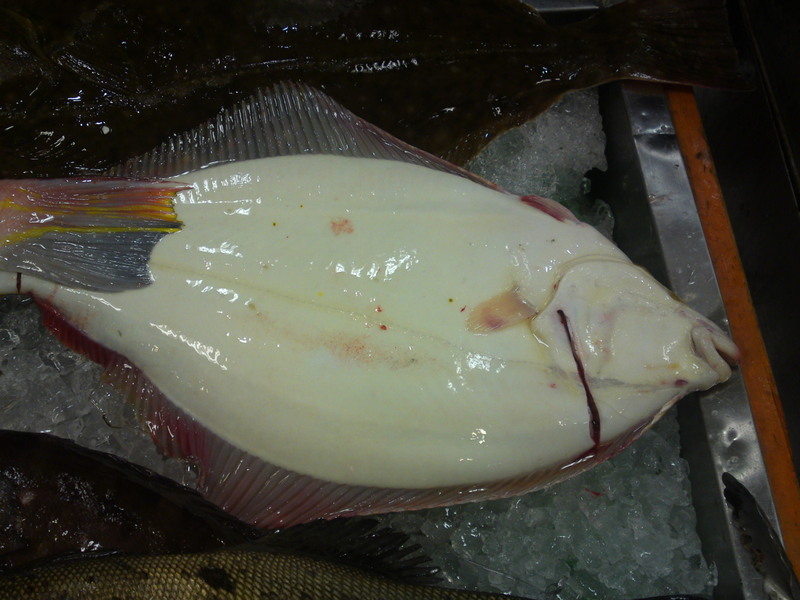 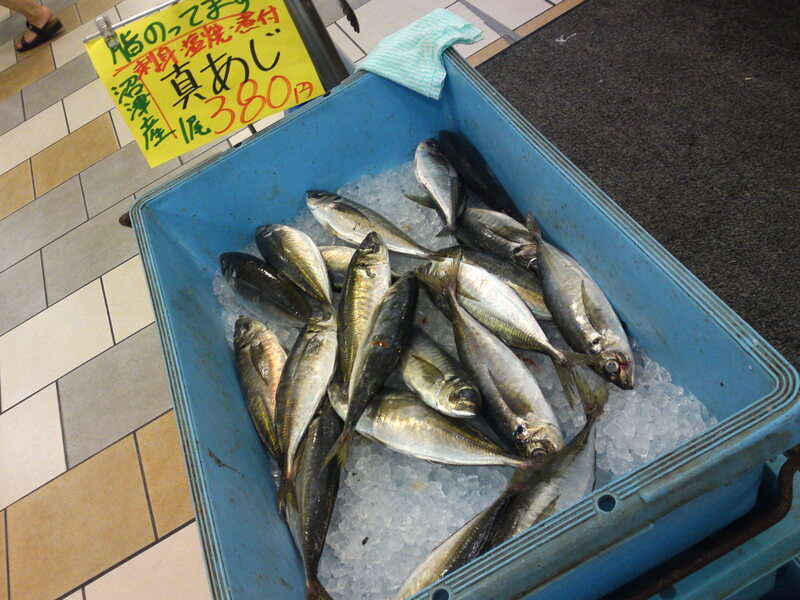 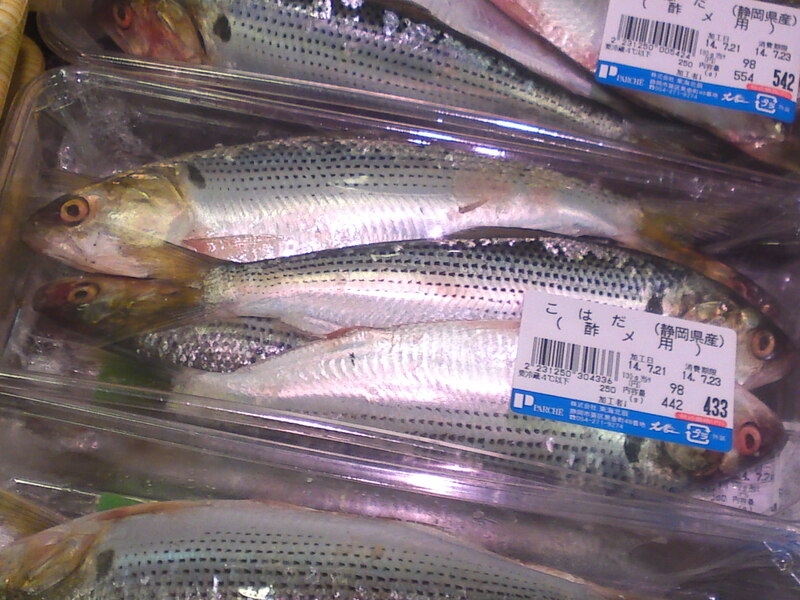 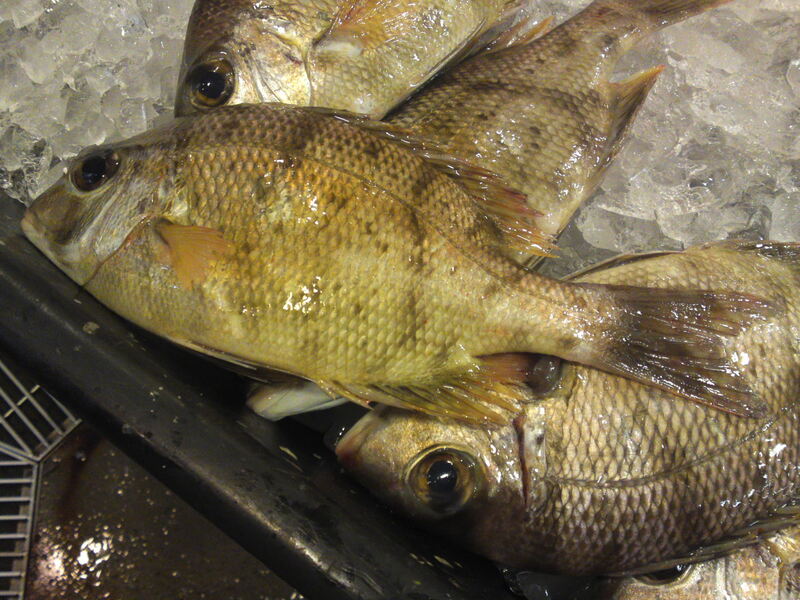 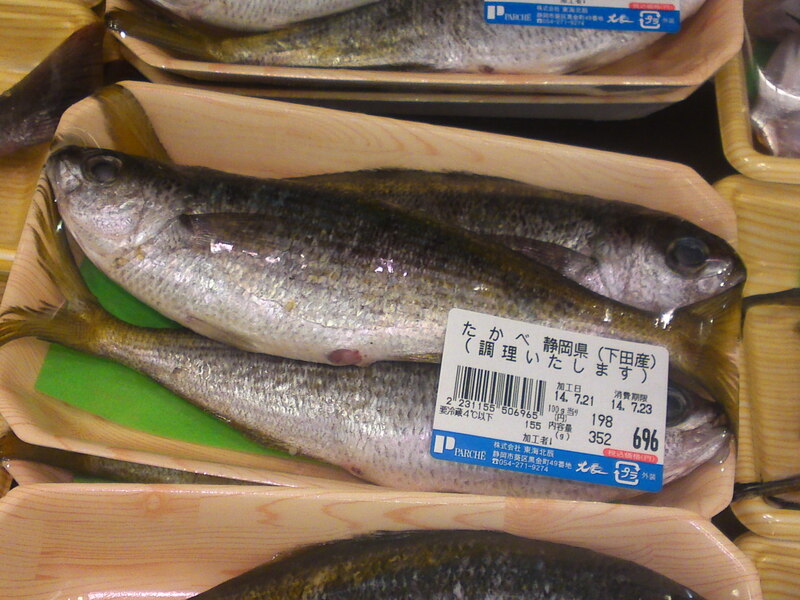 Takabe/たかべ/Yellowstriped Butterfish from Shimoda harbor! 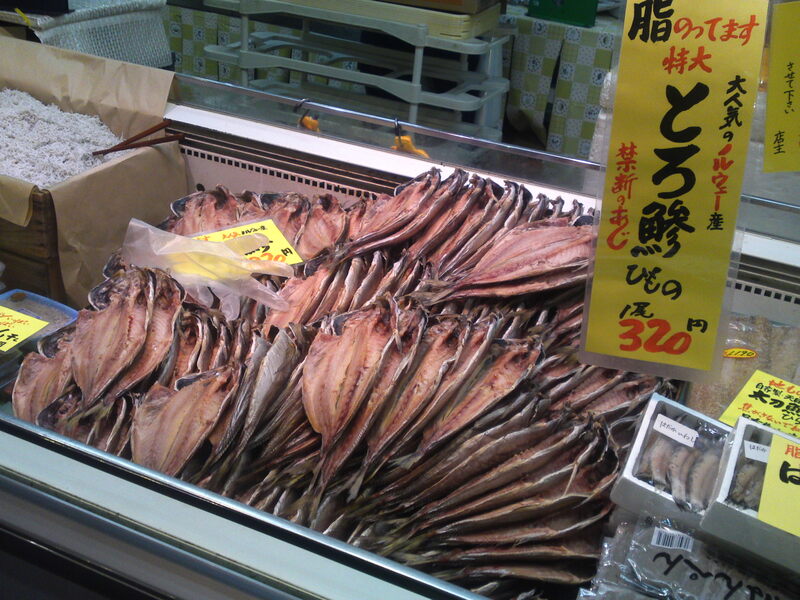 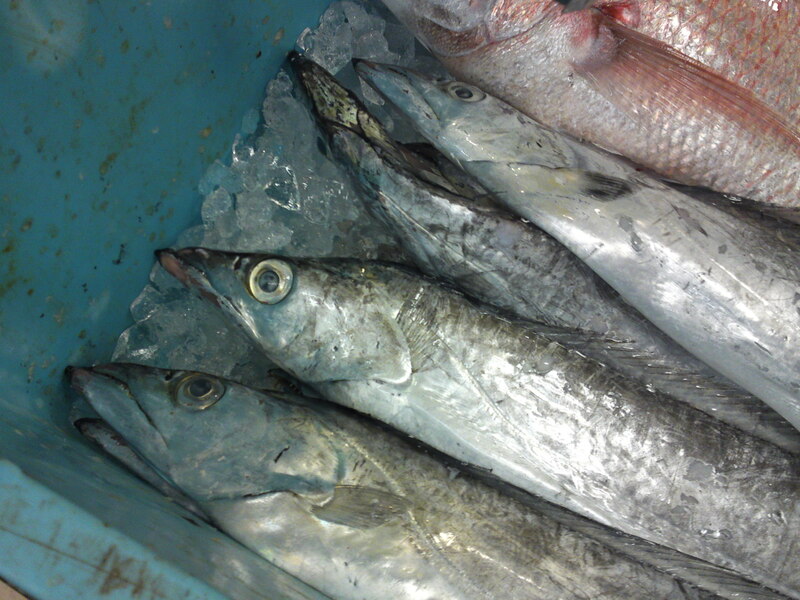 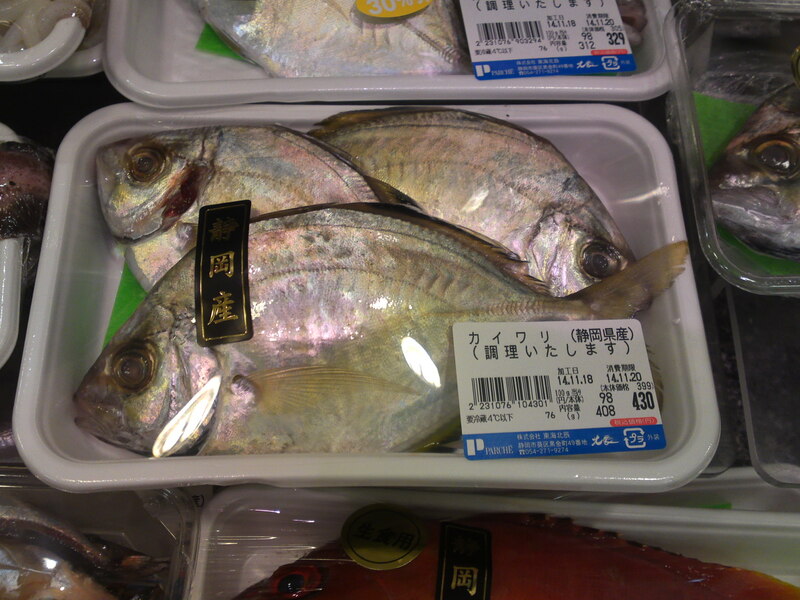 Oaka Aji/尾赤あじ:Red tail horse mackerel!